High flyer. What happens when Nvidia's fastest laptop graphics card, the GeForce GTX 780M, teams up with Intel's brand-new Haswell quad-core CPU? Exactly, an extremely potent high-end laptop is created. 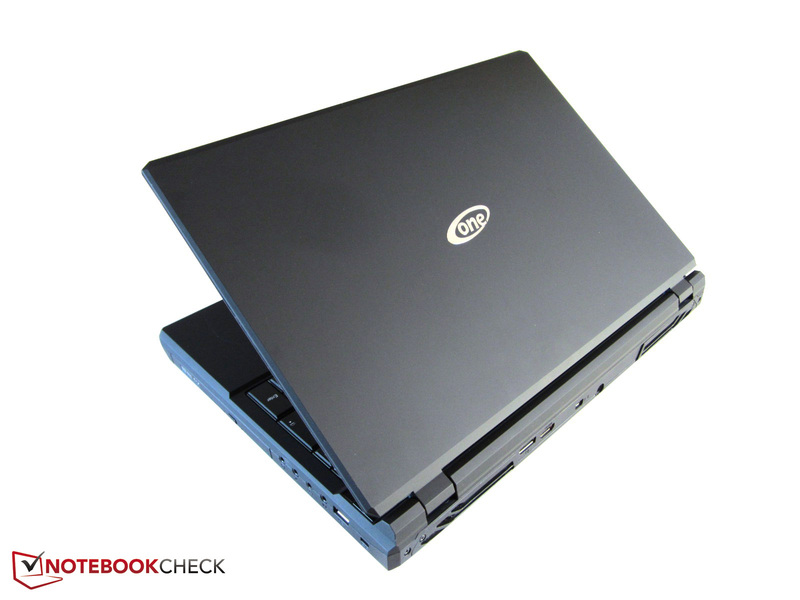 Despite its limited chassis volume, the 15-inch One K56-3N2 offers great performance. We are taking a more detailed look at its virtues and vices. 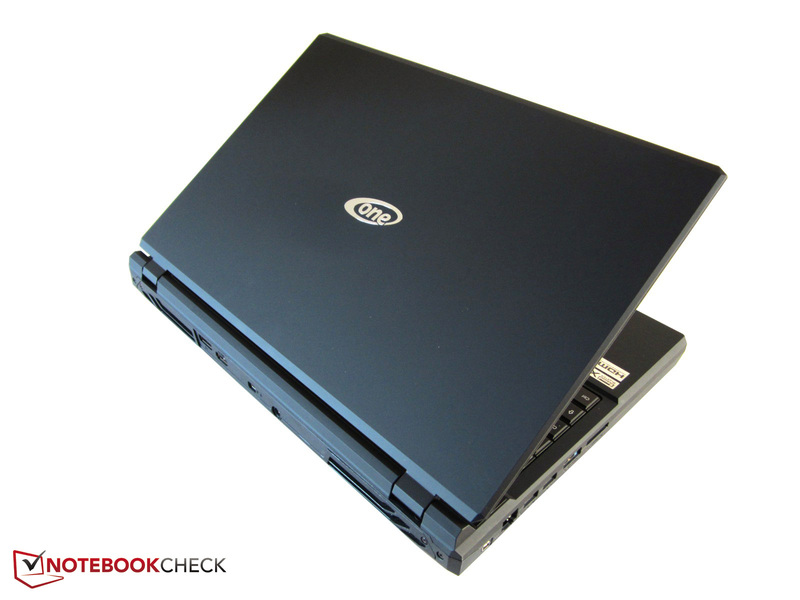 If you are looking for a powerful and semi-transportable gaming laptop, One might have just the right device for you. The K56-3N2 is stuffed with brand-new high-end components, most prominently an Intel Haswell CPU and a GPU from Nvidia's GeForce 700 series - the customer may choose between the GeForce GTX 770M and the GeForce GTX 780M. The latter costs far more, but it also yields a considerable performance boost (as will be seen in the "Performance" section of this article). But not only the graphics card can be individualized: As always with One, it is possible to customize basically every internal component of the K56-3N2, among them the Wi-Fi module, the optical drive, the operation system and the system memory (although it might not make sense to go beyond 8 GB of RAM as there are very few applications which profit enough from this upgrade to justify such an expense). The hard drive is one of the components where a more expensive model might actually make sense. Demanding users will only be content with a solid-state drive, whether it is the Samsung SSD 840 or the Samsung SSD 840 Pro. Everyone has to decide for him- or herself whether the MLC memory of the latter is worth its premium over its TLC sibling. Great: Up to four hard drive disks can be fitted into the 15-inch laptop thanks to two 2.5-inch drive bays and two mSATA slots. 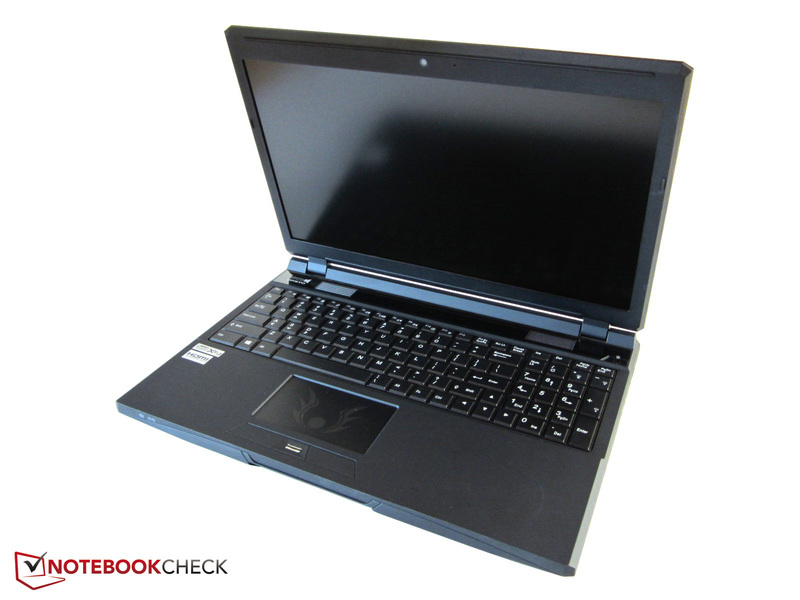 The price of the K56-3N2 depends on its configuration, but it is safe to assume that the final notebook will cost more than 1000 Euros (~$1310). By the way: The test device used for this review was just a pre-production model. In theory, there might be some small differences to the final customer version. The case has been manufactured by the Taiwanese company Clevo. The P157SM barebone is distinctly different from its predecessor, appearing much more playful and MSI-like (see the GT60) than the plainer P150EM. 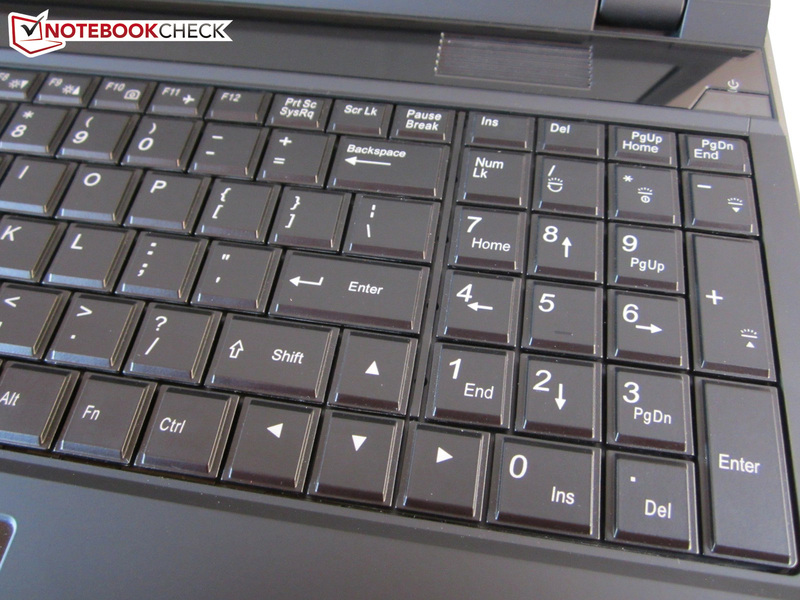 Not only is the keyboard backlit, but the touchpad as well. According to One, the final production run will possibly swap the tribal emblem for a different logo. Also a matter of taste is the glossy - and extremely fingerprint-prone - bar right above the keyboard. Another disadvantage: The speaker grilles do not really have a premium look to them. Thankfully, Clevo has chosen to ax the larger P177SM's annoying volume display - there is nothing but a few status LEDs between the speaker grilles. Most similarities come into effect when looking at the choice of materials. Both devices are rubberized, especially on the lid and on the palm rest. According to our past experiences, these dark gray surfaces feel soft and pleasant, but they quickly become ugly when touched with greasy fingers. 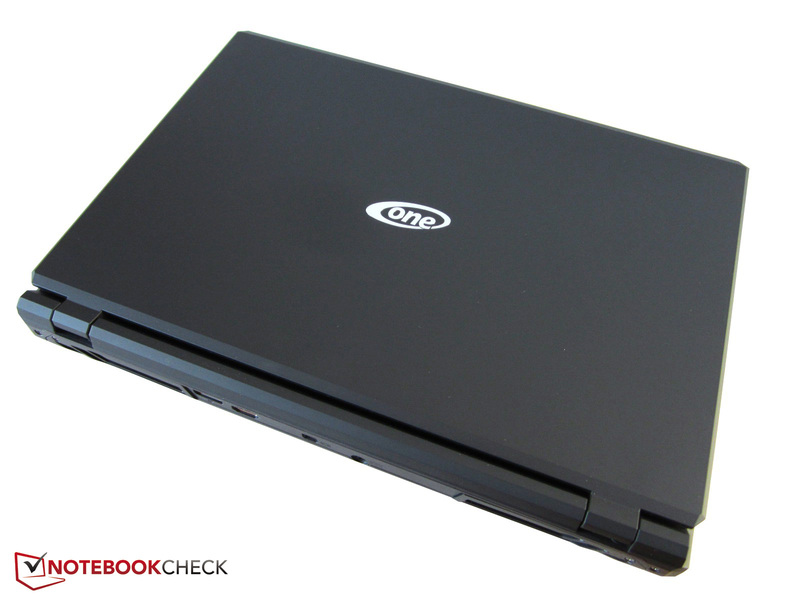 Still, laptops with glossy surfaces are even more sensitive. Concerning stability, we are divided. On the one hand, we have the base unit which feels rather sturdy (with the exception of the vicinity of the optical drive), but then there is also a wobbly lid which can be twisted noticeably using two hands. To Clevo's defense: Few laptops fare better in this regard. Despite this being a pre-production model, we permit ourselves to talk about its build quality. 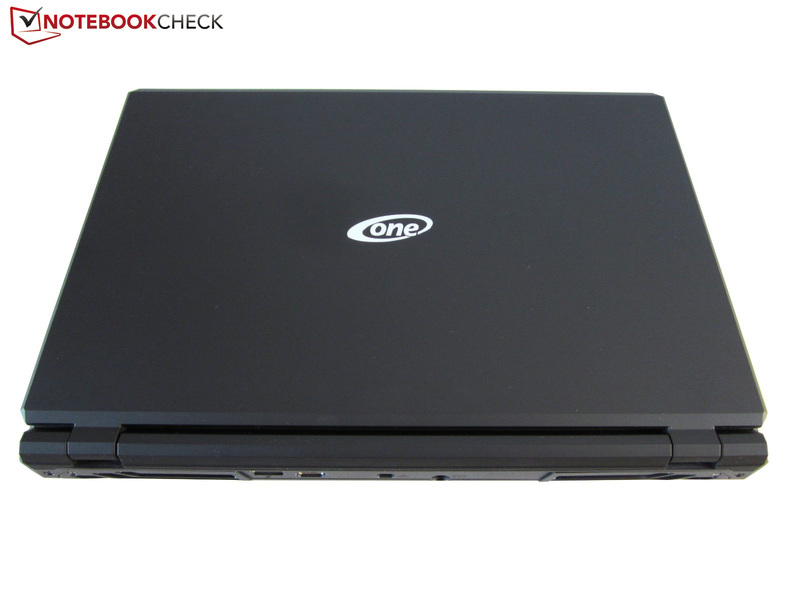 As usual with laptops made by One, overall quality is okay, although there are some small discrepancies. Most potential users should be content with the chassis. Concerning contentment: Despite its high weight (~ 3.3 kilograms/~7.3 pounds) and the above-average height (close to 50 millimeters/~2 inches), the K56-3N2 is actually quite easy-to-transport. 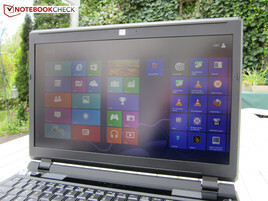 Considering its performance, the 15-inch laptop does not feel excessively large. One hint: People who prefer a simpler, sleeker design might be happier with the (more expensive) P150SM barebone. Port variety is great. 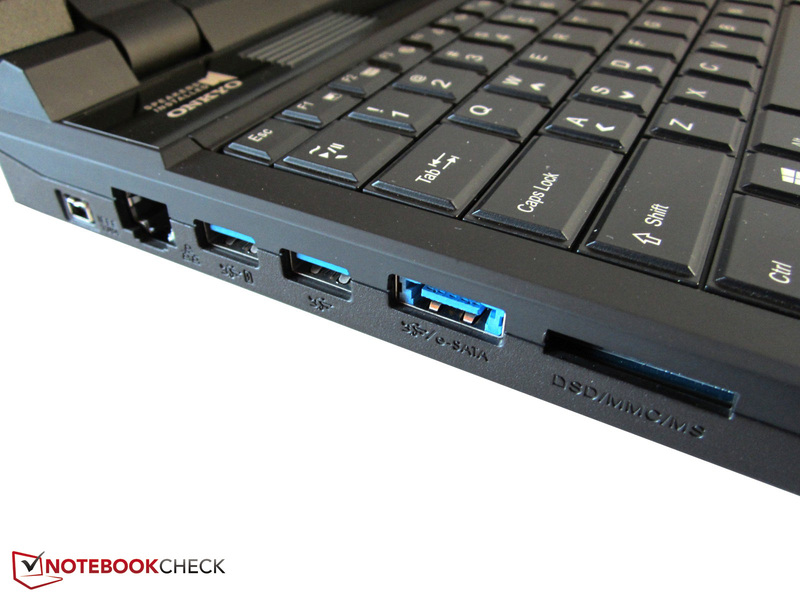 Apart from a Thunderbolt port and an ExpressCard slot, there was nothing we were missing. 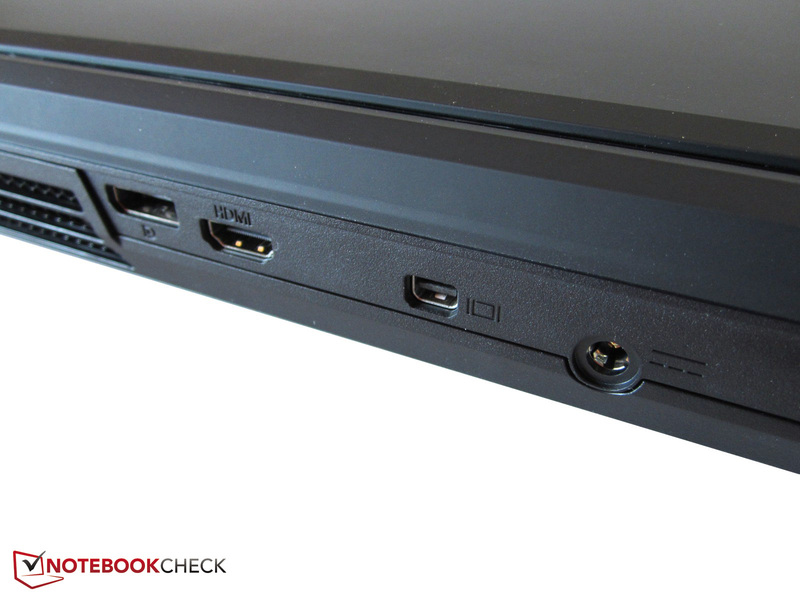 The K56 comes with three video ports (HDMI, DisplayPort and Mini DisplayPort), three USB 3.0 ports and four audio jacks, so that owners of a surround system do not have to make do with the HDMI ports, as is the case with many laptops. Even Firewire and eSATA cables can be connected to the One K56. In addition, a well-rounded card reader (supporting MMC, RSMMC, SD, mini SD, SDHC, SDXC, MS, MS Pro and MS Duo), a Kensington lock, an RJ-45 Gigabit Ethernet port, a fourth USB (2.0) port, a microphone and a high-resolution webcam (2 megapixels) can be found on the device. Port placement was well thought out, too. Everything is moved to the back of the device in order to enable the user to have enough space for an external mouse even when numerous cables are in use. Similar to the K73-3N, our test device ships with an Intel Centrino Ultimate-N 6300 radio modem. When compared to its lower-priced siblings (the Advanced-N 6235 and the Wireless-N 2230), the Ultimate-N 6300 has lost its Bluetooth capabilities, but it has gained a higher data transfer rate of 450 Mbit/s instead of 300 Mbit/s. Next to the Wireless Display technology, the Intel modem comes with high frequency capabilities, using the 2.4 and 5.0 GHz bands - which leads to good reception even at greater distances. We were especially impressed by the K56's lavish maintenance options. 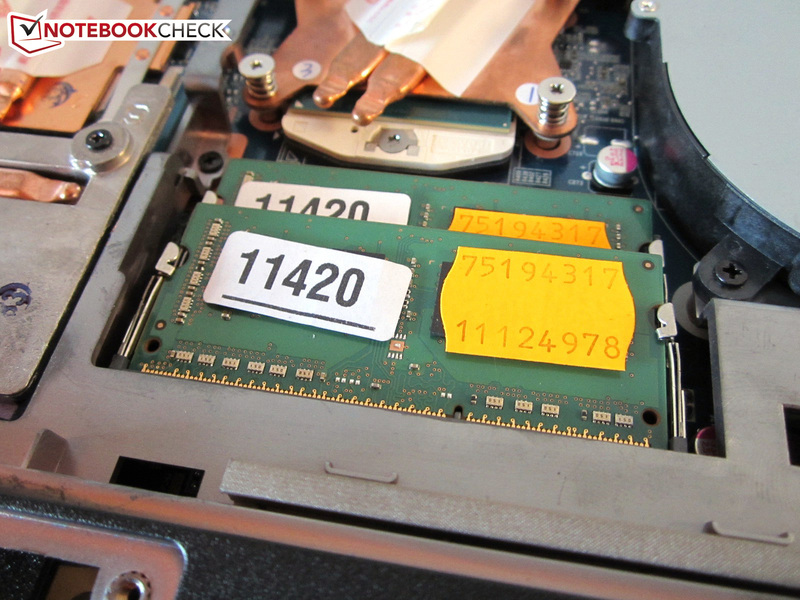 Beneath the smaller maintenance hatch, the optical drive, two normal 2.5-inch hard drive bays and an mSATA slot can be found. The larger hatch allows access to the CPU and GPU cooling systems, the primary memory banks and the second mSATA slot. 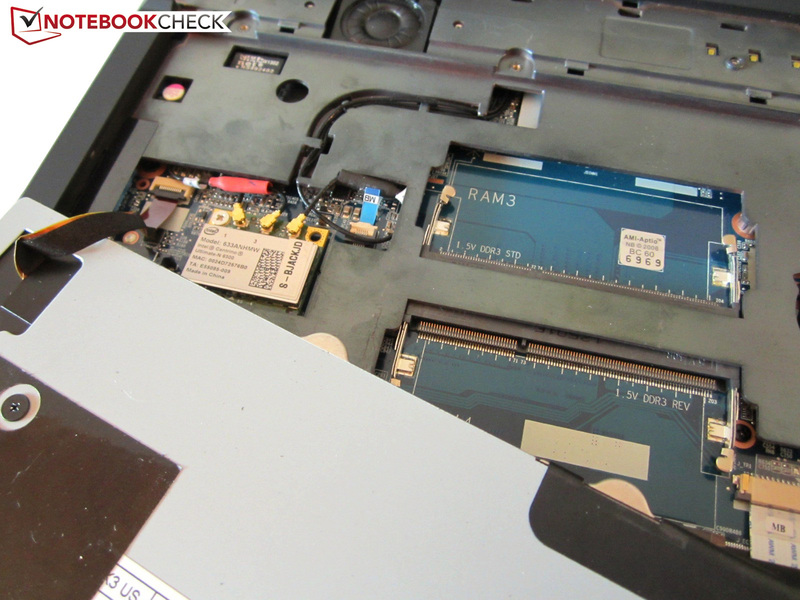 Beneath the keyboard, the Wi-Fi module and the third as well as fourth memory banks are located. While the power bar can easily be removed for its barebone siblings P150SM, P170SM and P177SM, greater care has to be taken with the P157SM. Apart from this, even non-professionals can perform many upgrades, especially so when it comes to installing a new hard drive or another RAM module. Advanced users will be glad to know that even the GPU, the CPU and the fan can be swapped. 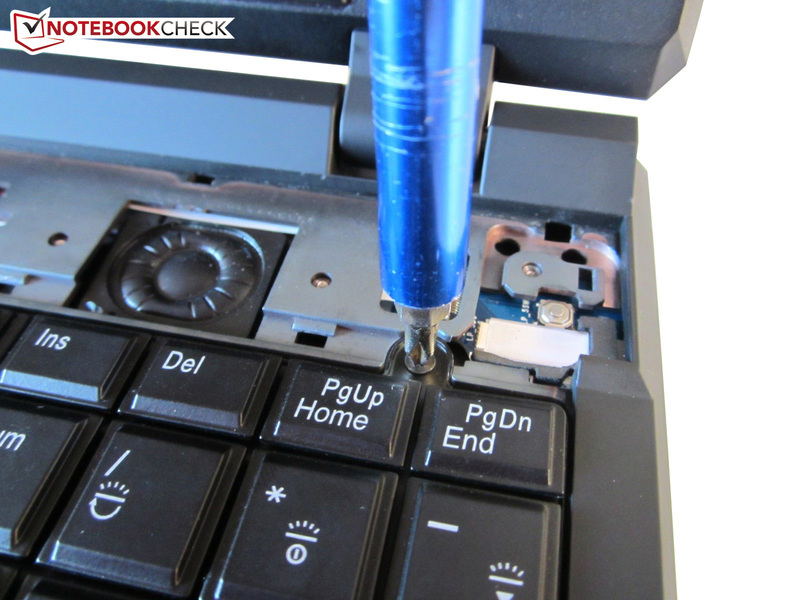 Only a clean Windows install is a good Windows install - something that holds true for laptops made by One as well. Apart from a few drivers and tools (which are all connected to the hardware), no bloatware can be found. Larger manufacturers such as Acer, Sony or Toshiba might want to take a page from One's book. Our pre-production model came with just a driver DVD. Usually, Clevo also includes a manual in the box. Some customers will be stunned when they see the chunky power adapter: It weighs 820 grams (~1.8 pounds) while measuring 168 x 83 x 35 millimeters (~6.6 x 3.3 x 1.4 inches), but this is not unheard of with powerful gaming laptops. 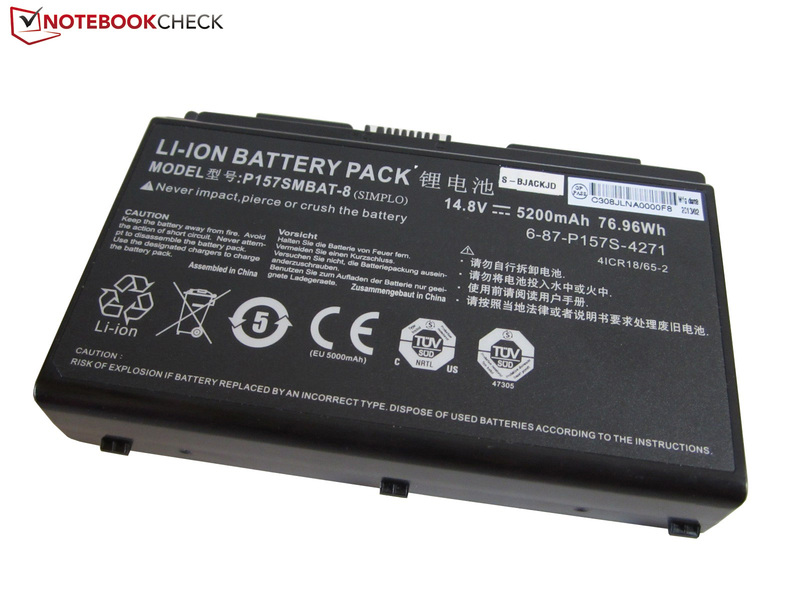 The battery is an 8-cell model with 77 Wh. 12 months of standard warranty are nothing to write home about. For a premium, One offers a warranty extension up to 24 or 36 months. The same holds true for the pickup & return service. Despite some minor flaws, we were actually quite satisfied with the keyboard. 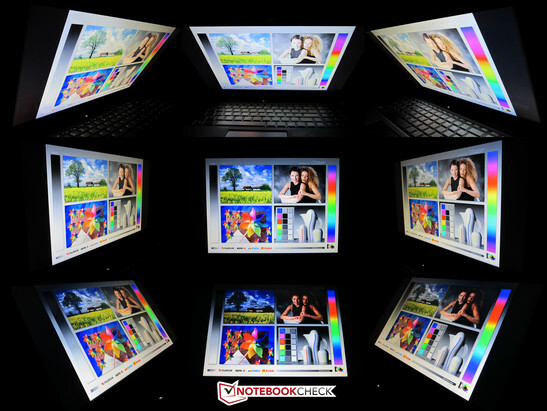 We especially liked the three distinct lighting zones which do not only offer several brightness levels but which are far more evenly lit than those of some of the K56's competitors (we are looking at you, Asus G75V!). 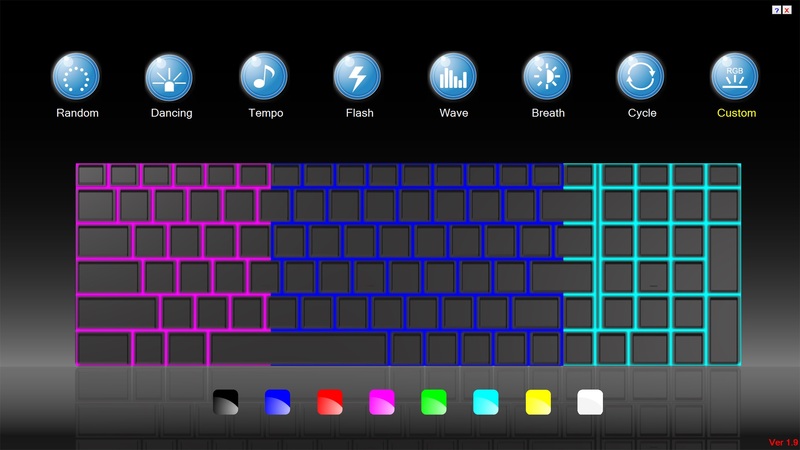 Pressing "Fn" and "/" at the same time starts a clean software interface which allows the user not only to choose different colors for each of the zones (a selection of blue, red, pink, green, cyan, yellow and white) but also to activate one of seven special modes. 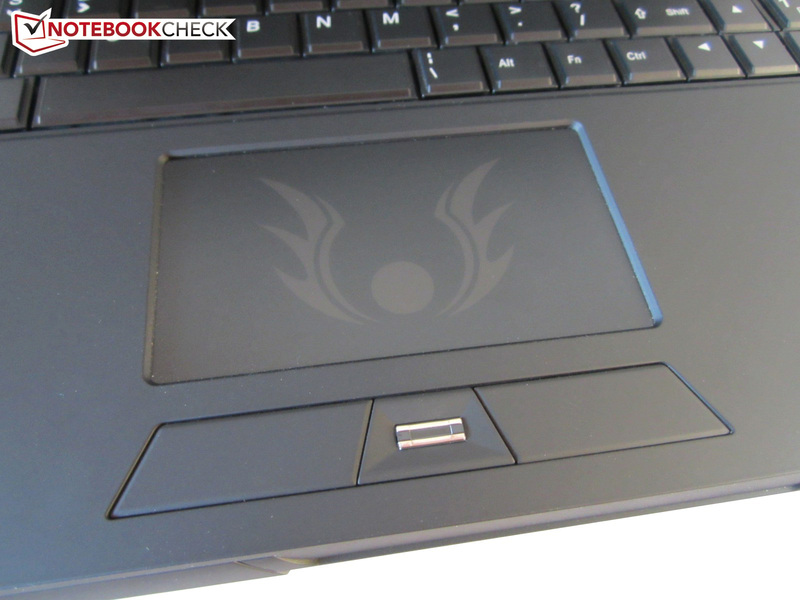 The color of the touchpad backlighting is determined by that of the middle zone. The keyboard is quite pleasant to use. Feedback is neither too hard nor too soft - we actually think One might have hit the sweet spot here. The keys are amply sized (17 x 17 millimeters) although only 13 x 13 millimeters remain once the graded rims of this non-chiclet layout are taken into account. On the right, a four-column numpad (with a half-sized "0" due to the normal-sized arrow keys) is located. 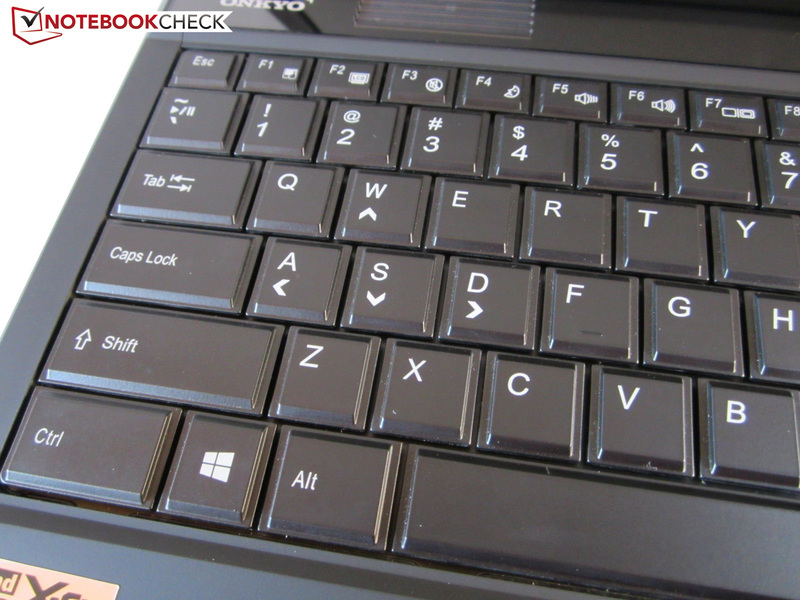 Not everybody will be happy with the position of the ><|-key or the Fn key, which has migrated to the right. The unusual layout may actually be one of the biggest weaknesses of the K56's keyboard – something not made up for by the useful special keys in the F-row and the large palm rest. The touchpad is far more unsatisfying than the keyboard. Despite being 100 millimeters (~3.9 inches) wide, it is just 58 millimeters (~2.3 inches) high (instead of 70 millimeters/~2.8 inches, as with the P177SM). 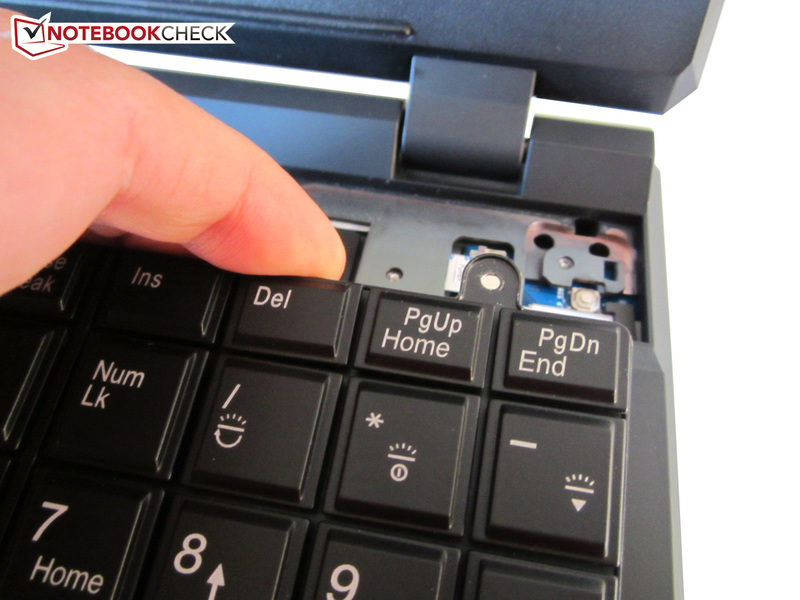 Even worse is the fact that Clevo has chosen to lower the touchpad deep into the case, leading to an annoying sudden drop from the palm rest down to the touchpad. 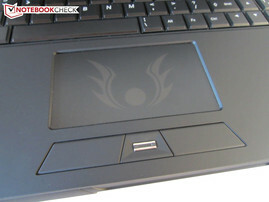 In addition, the touchpad is not very precise, with input feeling spongy and vague at times. One advantage of all Sentelic Finger Sensing Pads is their comprehensive multitouch support, recognizing four fingers and a multitude of gestures. A horizontal and a vertical scrolling feature can be activated as well. Unfortunately, there are some gaps at the edges where dirt can easily accumulate. We were not happy with the dedicated mouse buttons. They are loud and wobbly, but also hard to find when not looking. At least one does not have to fear any involuntary input while gaming since the touchpad has been placed on the right hand side of the laptop. Optionally, it can also be deactivated completely. 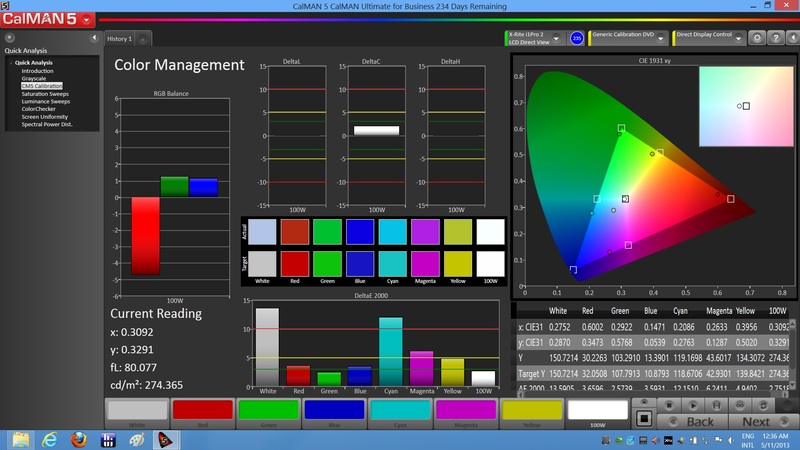 The Full HD display is quite similar to that in the P150SM barebone that we have recently tested. Despite the fact that on paper, the LG Philips LP156WF1-TLF3 is slightly inferior to the 17-inch Chi Mei N173HGE-L11 (P170SM Test One K73-3N (Clevo P170SM) Notebook, P177SM), subjectively both are on par. Its maximum brightness of 244 cd/m² (the Schenker W503 offered close to 260 cd/m²) is nothing to write home about, but its contrast ratio of 660:1 is better than that of most of its competitors. 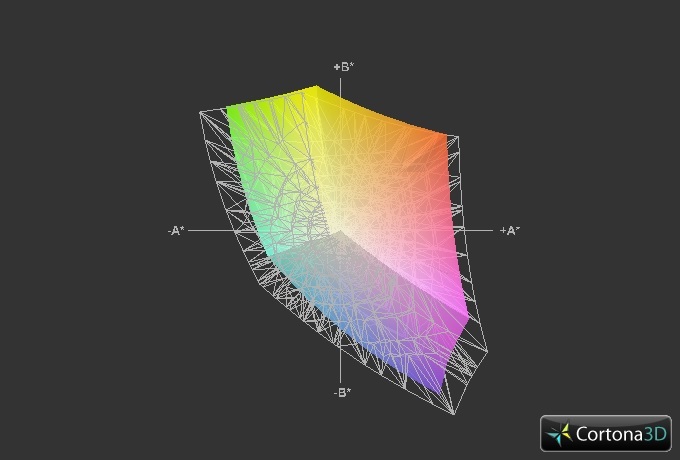 Accordingly, black levels of 0.4 cd/m² are quite decent as well. Only in dark scenes during movies or games have we noticed a slight tendency of blacks washing out into a dark gray. 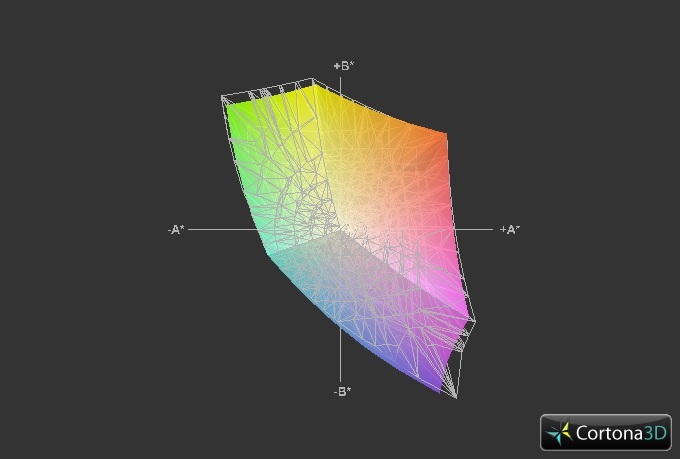 Color space accuracy is reasonable. 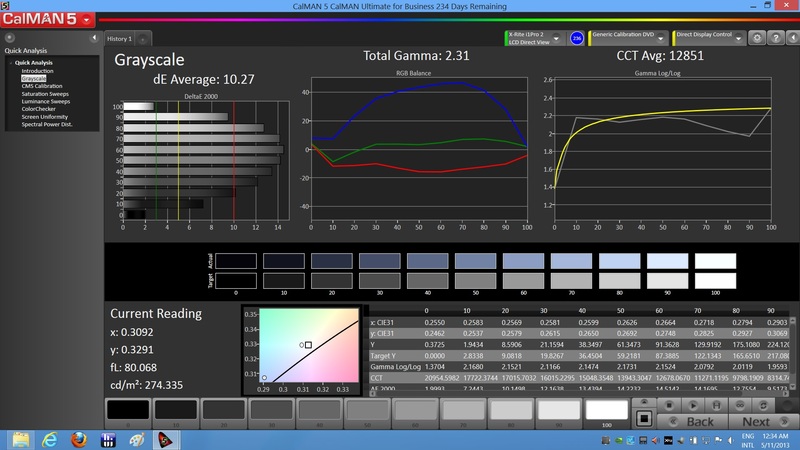 Some colors seem more natural and more realistic when compared to the Chi Mei N173HGE, probably due to superior calibration. Both models offer the same resolution of 1920x1080 pixels, which has more or less become the gold standard for mobile PC gaming. Multitasking and Blu-ray playback work perfectly with this amount of screen real estate. For games, 1600x900 pixels might have been sufficient, but then again, a GeForce GTX 780M is very well up to the task of driving a Full HD panel. Annoyingly, display brightness decreases by more than 100 cd/m² while running on battery - a problem that is amplified on bright days. 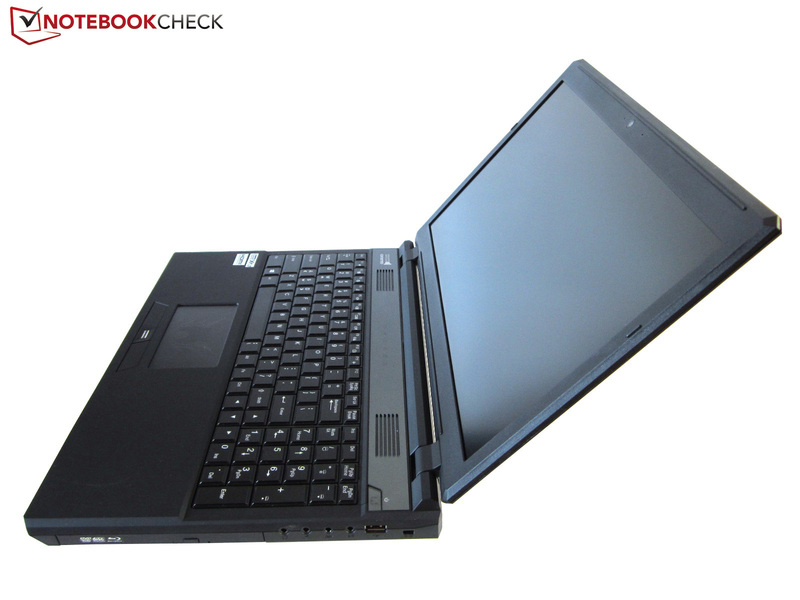 Due to its matte surface, the One K56-3N2 could have been the ideal outdoor gaming laptop, but the way it is designed right now, it is really only useable once plugged in. The K56's viewing angles are astonishingly wide for a TN panel, especially horizontally. Enjoying a movie with a few friends should not be a problem. Vertical distortions occur sooner, but the LP156WF1-TLF3 still beats most ordinary TN panels in this regard. 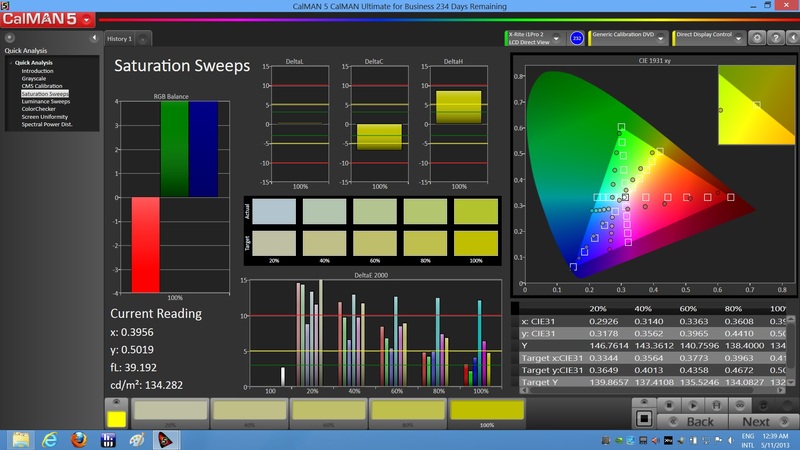 Overall, we were quite satisfied with the display quality of the K56-3N2. 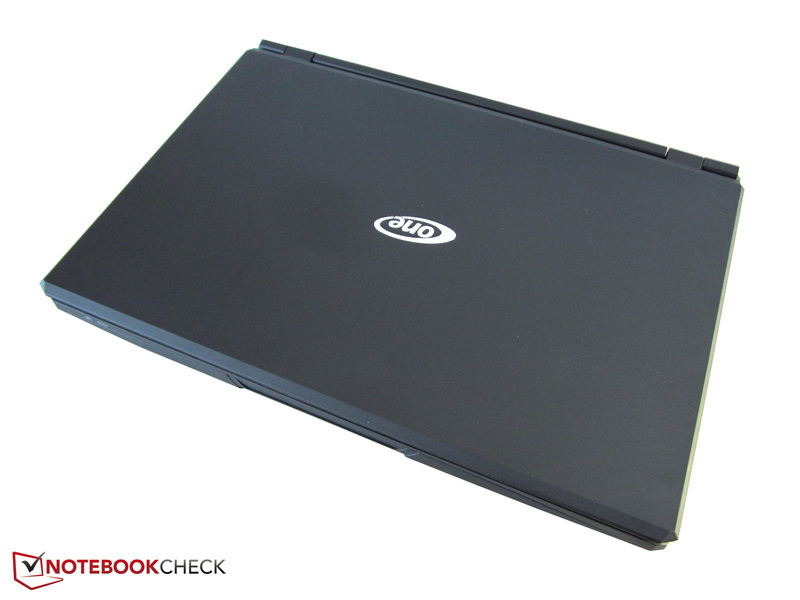 One makes use of an Intel Haswell quad-core CPU, specifically a Core i7-4700MQ clocked at 2.4 to 3.4 GHz. 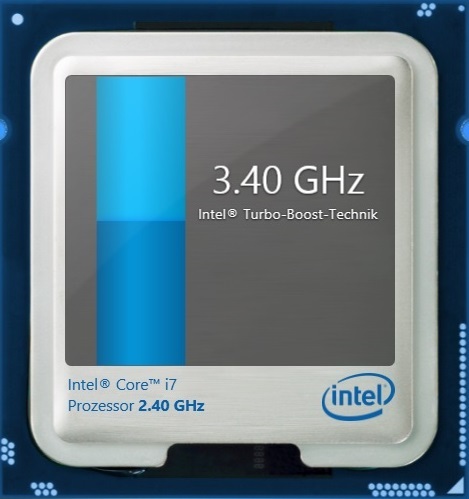 This is 300 MHz less than its more expensive sibling, the Core i7-4800MQ running at 2.7 to 3.7 GHz. 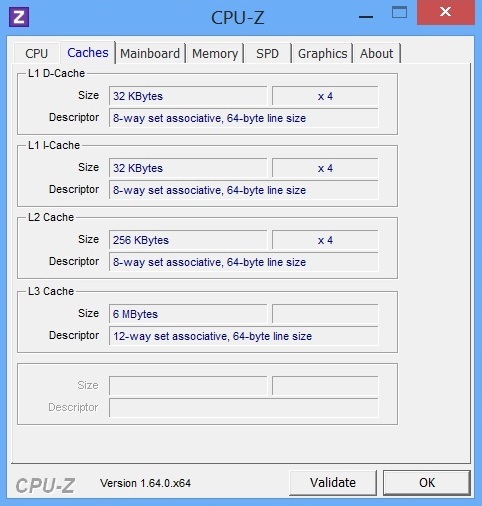 L3 cache size of 6 MB is the same with both models, but less than with the Core i7-4900MQ which sports 8 MB. 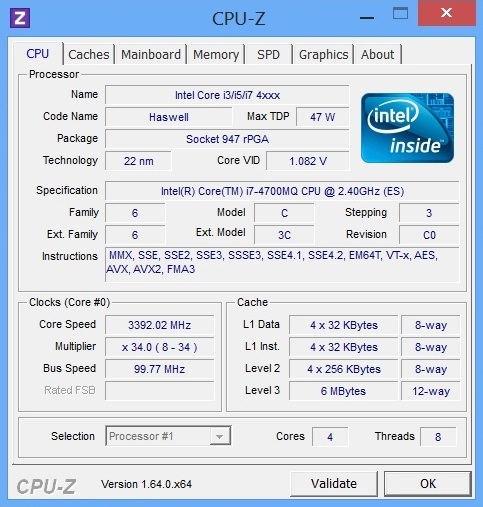 Similar to its predecessor, Haswell supports Hyperthreading, which assigns a virtual counterpart to each core, resulting in the CPU being recognized as an octa-core. Due to an integrated transformer, the thermal design power (TPD) has risen slightly to 47 Watts (from 45 Watts). As its predecessor, the Haswell has been manufactured using the 22nm-process. 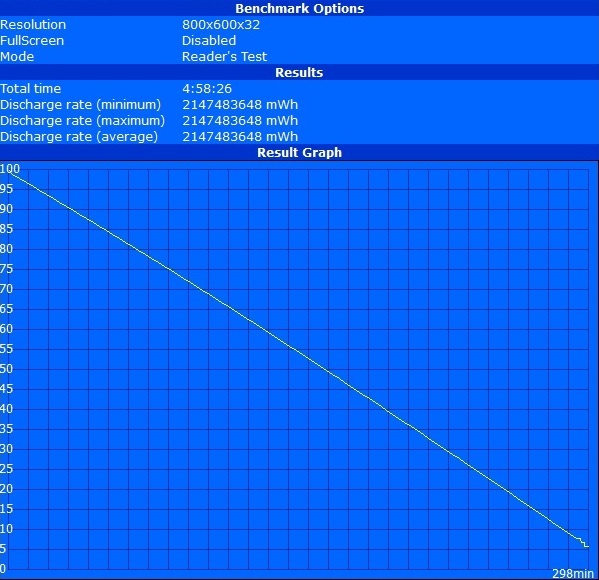 Unsurprisingly, the P157SM comes with a graphics switching system, Nvidia's Optimus (which is more reliable than AMD's Enduro at the time of this writing). If necessary, the dedicated Nvidia GPU is used - otherwise, the system relies on the HD 4600 graphics card that is integrated in the CPU. The Nvidia control panel contains numerous options, ranging from profiles and a global preset ("manage 3D settings") to comfort functions and information panels ("desktop" menu). 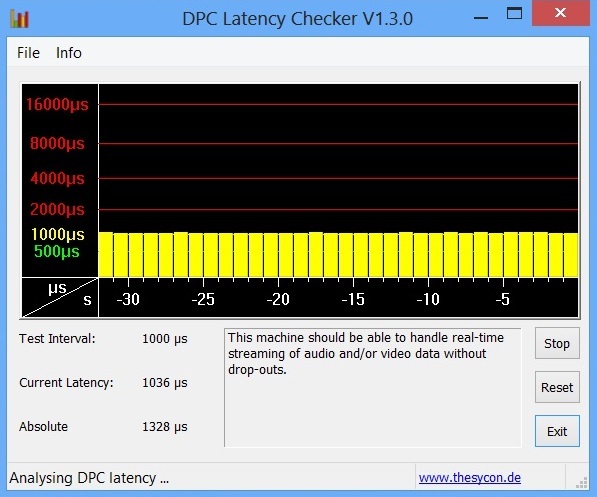 Stuttering gameplay is usually caused by the Windows energy-saving plan, the configuration of Nvidia Optimus or the power adapter not being plugged in (the GeForce GTX 780M loses 50% of its speed while running on battery), not by the graphics card being too weak. 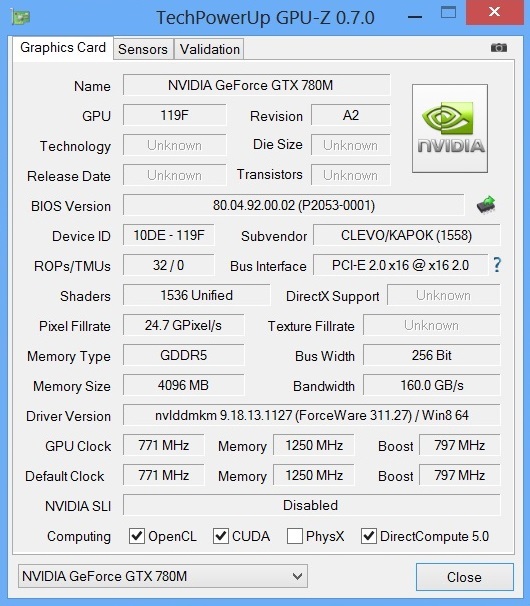 To the left of the airplane symbol, a status LED always shows whether the Nvidia GPU is active. 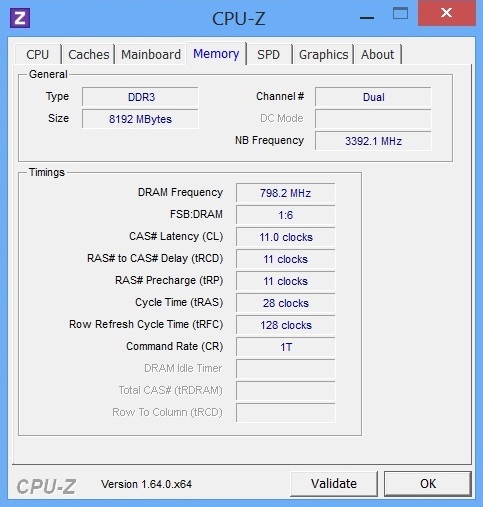 The automatic CPU overclocking feature should not go unmentioned, allowing the clock speed of the Core i7-4700MQ to be increased from 2.4 to up to 3.4 GHz. The 15-inch One K56-3N2 often uses the full turbo speed, routinely reaching 3.2 to 3.3 GHz during 3D games. This is quite satisfactory. 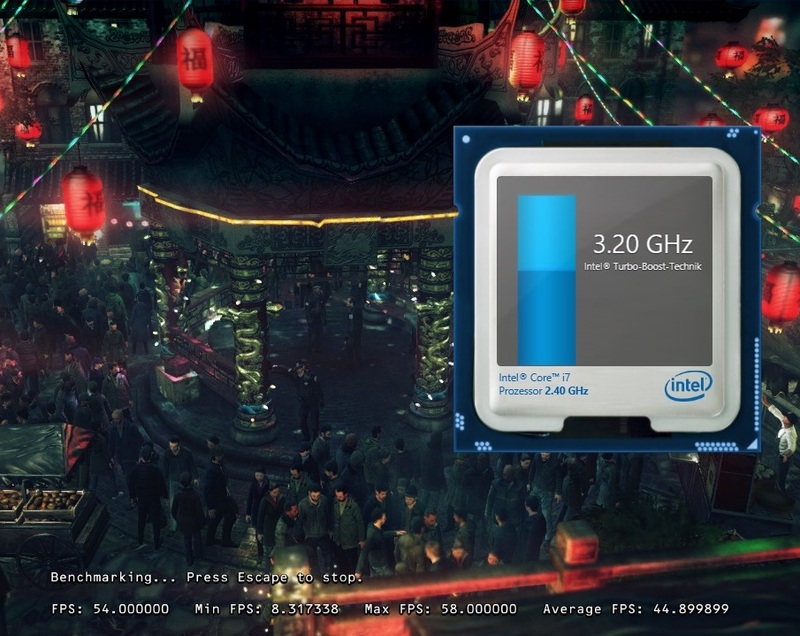 Even a clock speed reduction down to 2.6 GHz while under full load is acceptable. Actual throttling (the clock speed getting decreased beyond its base value) never occurred with our test device. 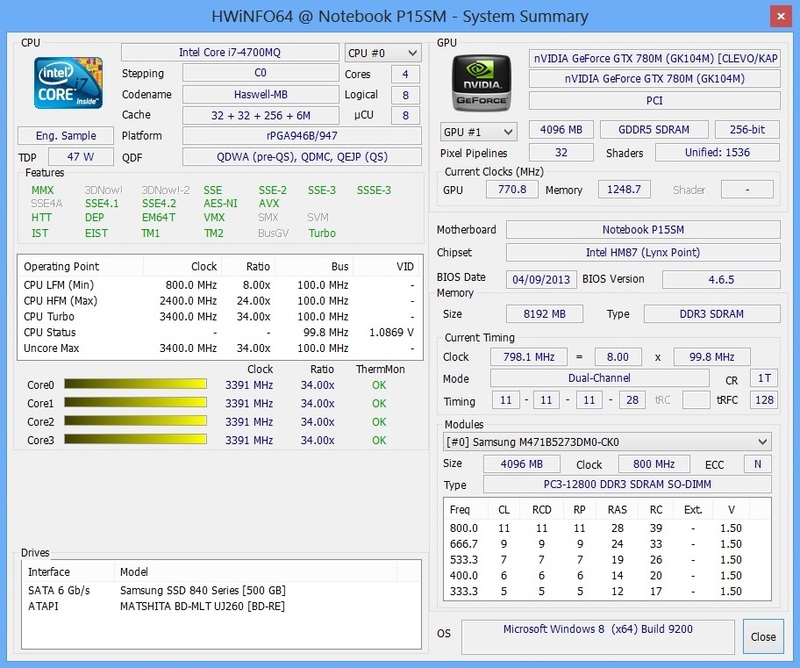 The performance increase some might have hoped for with the new Haswell processor generation does not occur. Intel's new CPU architecture merely lands 10% ahead of any similarly-clocked Ivy Bridge CPU. 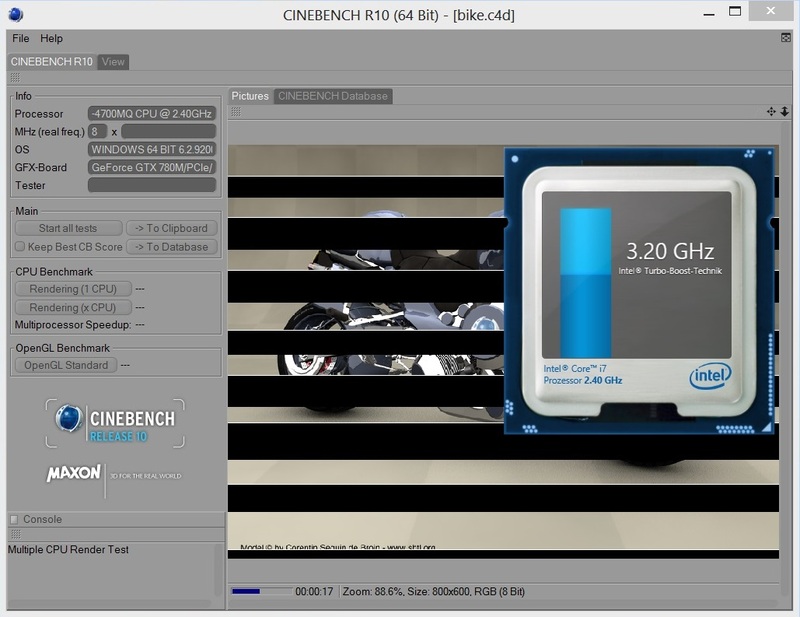 This can be shown by running the Cinebench R11.5 benchmark. The Core i7-4700MQ's 1.50 points during the single-core rendering test are merely 6% better than the 1.41 points of the Core i7-3630QM (as tested with the Asus N56VB-S4050H). 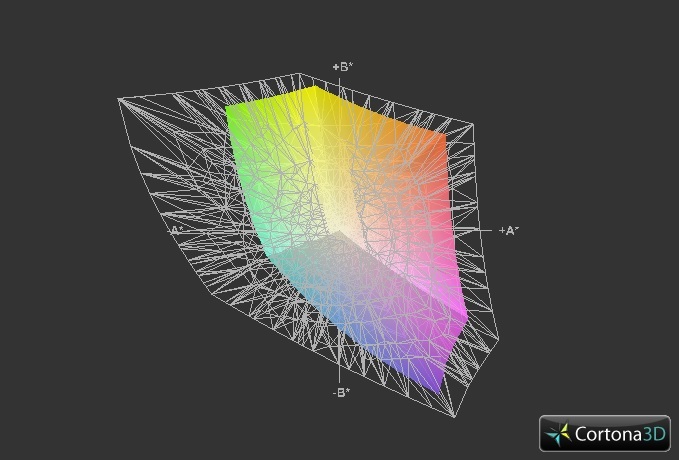 The same holds true during our multi-core rendering tests (6.90 points vs. 6.41 points). For comparison purposes: The Core i7-4800MQ (as used in the Schenker W503) yields 1.68 points and 7.61 points respectively, over 10% more than the Core i7-4700MQ. Avid gamers with the necessary funds will be happy to hear that the GeForce GTX 780M is currently the fastest consumer laptop graphics card in the world. Thanks to 1536 shader units and a clock speed of 823 MHz (core) and 2500 MHz (memory), Nvidia's new flagship outperforms the GeForce GTX 680M with ease. The predecessor shipped with 1344 shader units (-12.5%), and clock speeds of 720 MHz and 1800 MHz (-12% / -28%). Both graphics cards have 4096 MB of 256-bit GDDR5 memory at their disposal. The memory bandwidth has grown by 39% from 115.2 GB/s (GeForce GTX 680M) to 160.0 GB/s (GeForce GTX 780M). Another advantage of the newer model is its dynamic overclocking feature. Nvidia's new GPU boost technology takes into account the temperature of the GPU as well - and not just power consumption levels as with the GeForce 600-series. 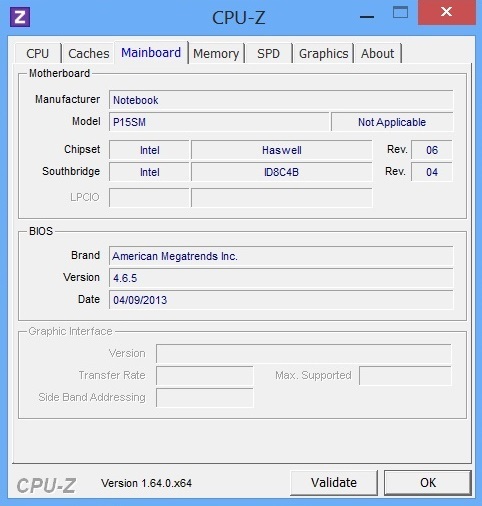 The GPU-Z tool shows a maximum clock speed of 849 MHz. 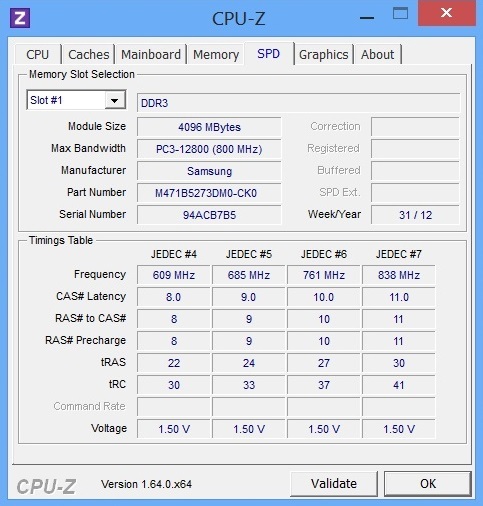 The memory stays at 2500 MHz at all times. The GTX 780M's specifications are rather similar to those of the GeForce GTX 680MX which so far has solely been used in Apple's iMac. 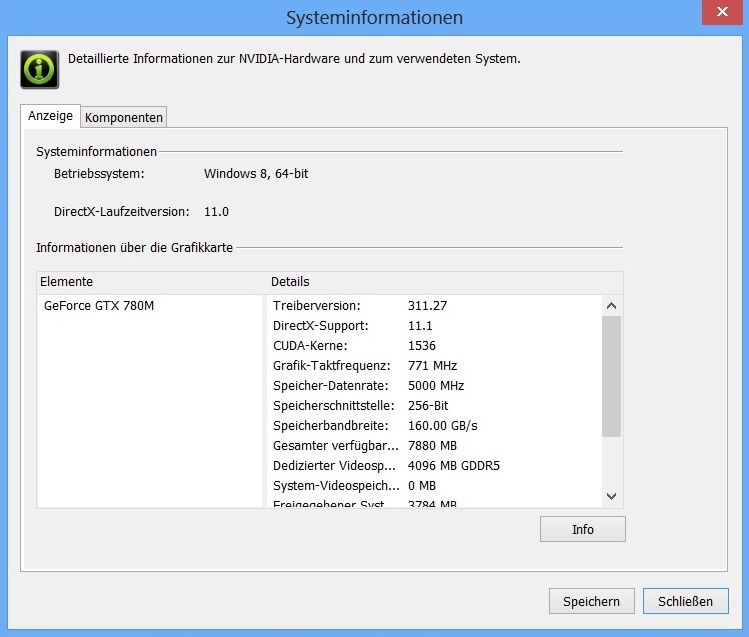 A small hint: At the time of this writing, no official Nvidia drivers for the GTX 780M exist. 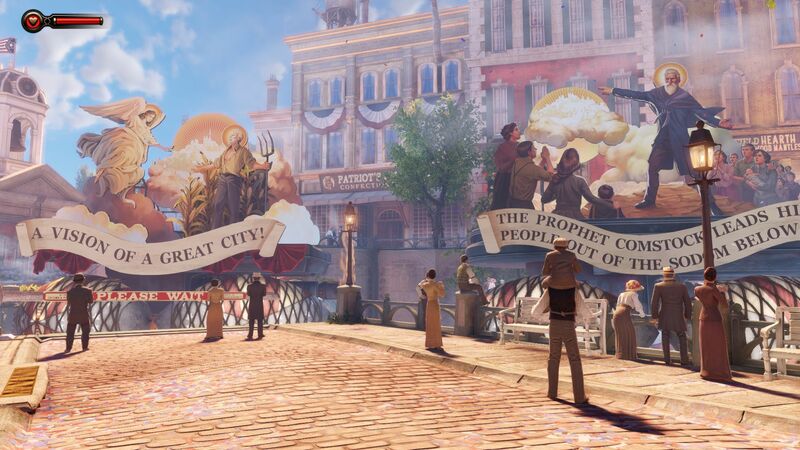 Thus, the GeForce GTX 780M was not able to sprint ahead by much in many recent games such as BioShock Infinite due to the older ForceWare 311.27 used. Still, overall results as shown in the figure below should not change too much with better-suited drivers. 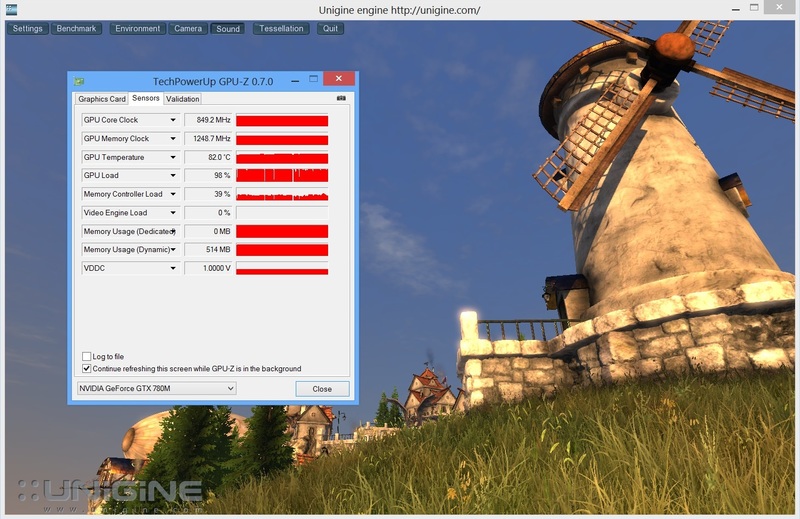 The performance of the GeForce GTX 780M is absolutely top-notch. An average of 75.9 fps during the Unigine Heaven 3.0 benchmark (1920x1080 pixels, high settings, tessellation normal) are more than impressive, yielding 30% better results than both the Radeon HD 7970M and the GeForce GTX 680M, which reach around 58 fps each. 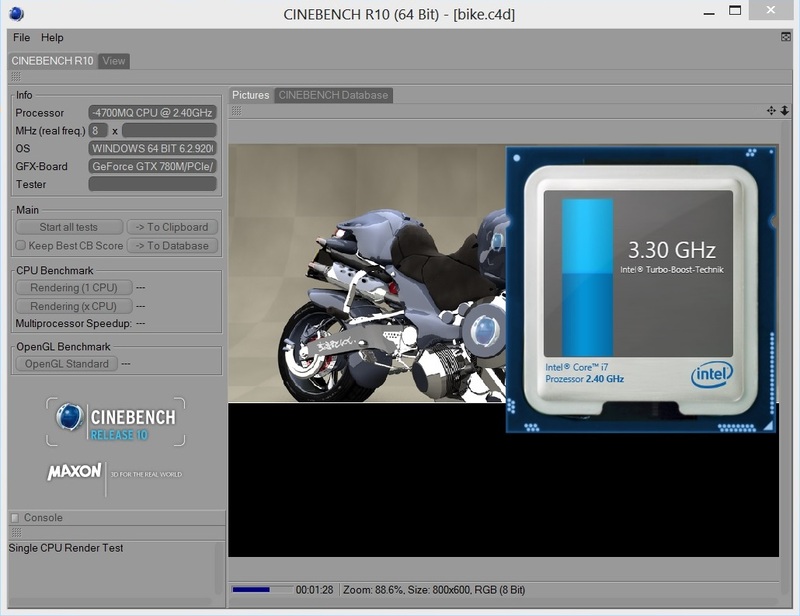 This luxury GPU also manages to achieve excellent results in the Fire Strike test of 3DMark 2013. 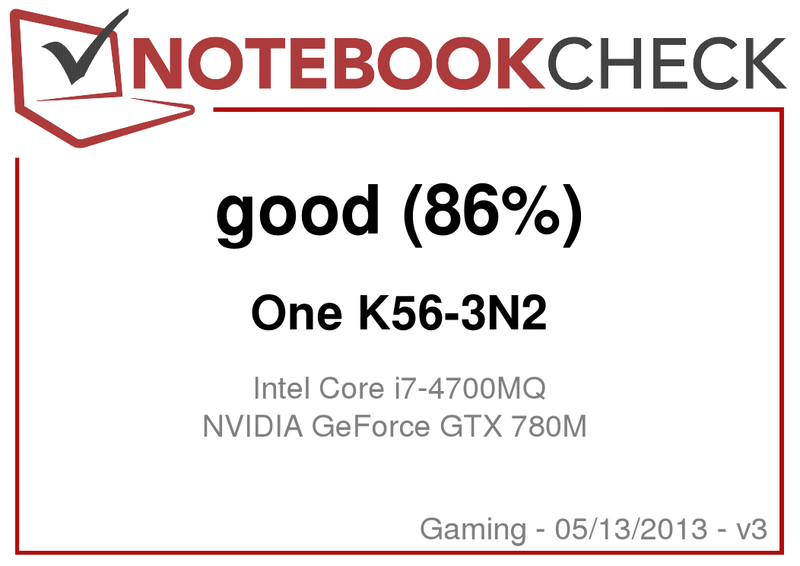 With a GPU score of 5244, it beats its weaker Kepler-generation siblings by 35% (GeForce GTX 770M: 3392 points @ One K73-3N) or even by 50% (GeForce GTX 765M: 2479 points @ Schenker W503). 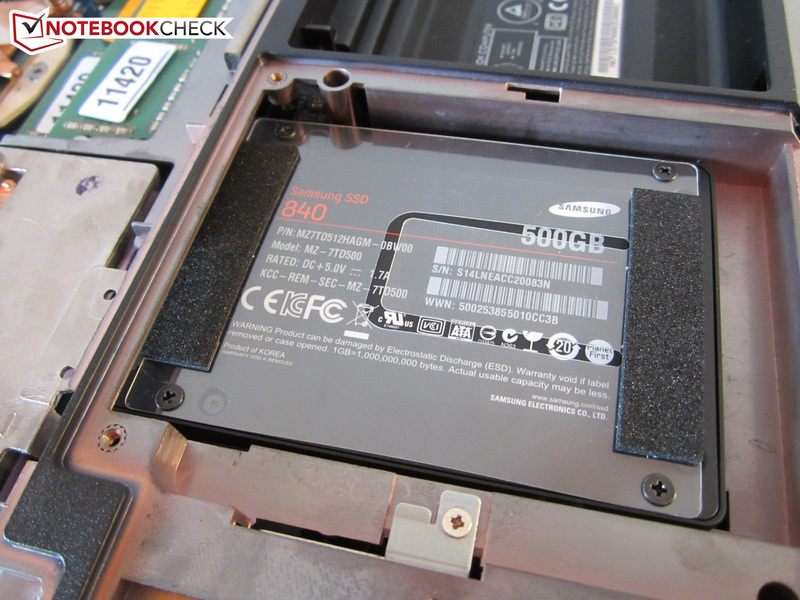 Due to its great value-for-money ratio, we have decided to test the model with a 500 GB Samsung SSD 840. The SATA-III model delivers a convincing performance, despite being slower at times than some of its competitors like the OCZ Vertex 4. 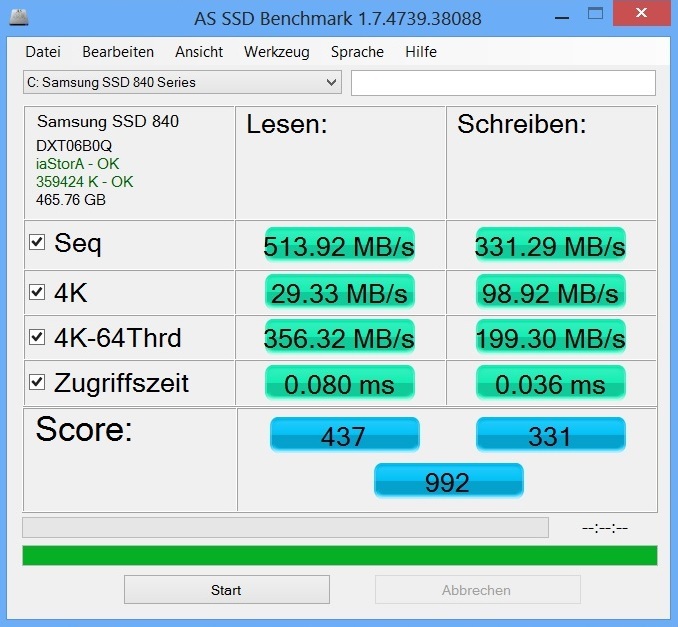 A sequential reading rate of 514 MB/s and a sequential writing rate of 331 MB/s come close to the results of the One K73-3N, which we have tested with the same SSD inside. The 840's access times were excellent: 0.08 and 0.04 ms (read/write). 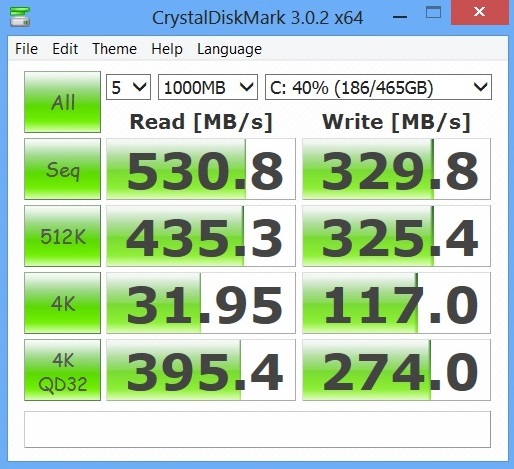 The strengths of an SSD are immediately evident during actual usage, beating every HDD in existence (as well as hybrid models such as the Seagate Momentus XT). Everything profits from an increased responsiveness: Boot and load times, install speeds and data transfer rates. 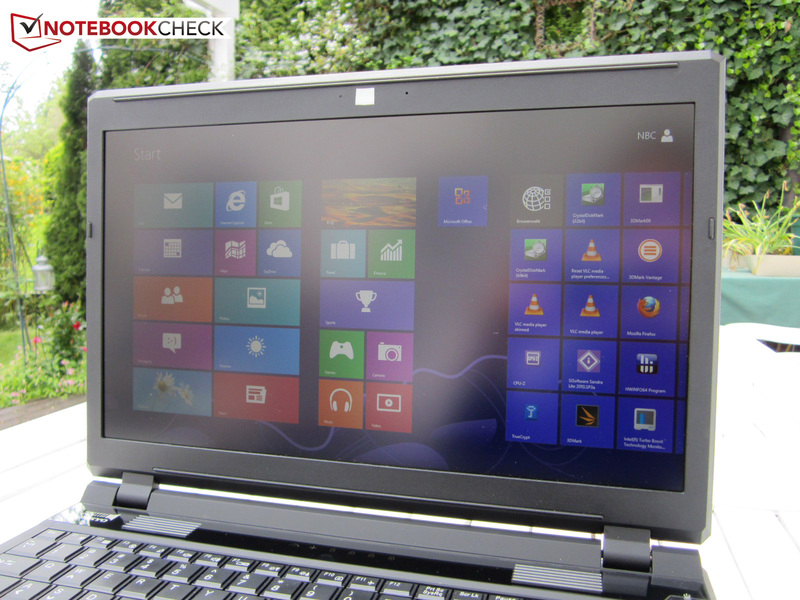 We have rarely had laptops that are more potent in one of our tests before. 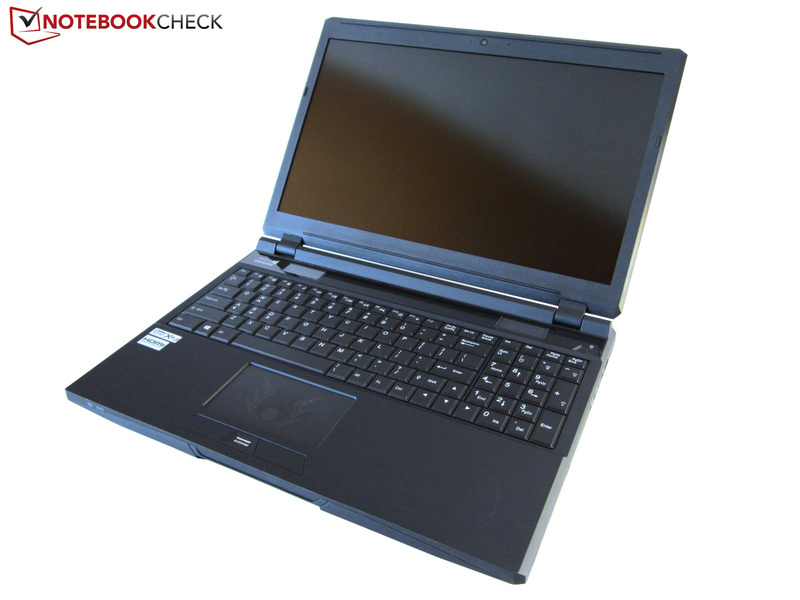 The 15-inch One K56-3N2 is one of very few devices capable of reaching more than 20,000 points in the PCMark Vantage benchmark. Apart from prohibitively expensive workstations such as the Bullman E-class (Core i7-3940XM, Quadro K3000M) or the Dell Precision M6700 (Core i7-3920XM, FirePro M6000), there are mostly dual GPU laptops such as the Alienware M18x R2 (Core i7-3920XM, Radeon HD 7970M CF) or the Schenker XMG P722 (Core i7-3820QM, GeForce GTX 680M SLI). 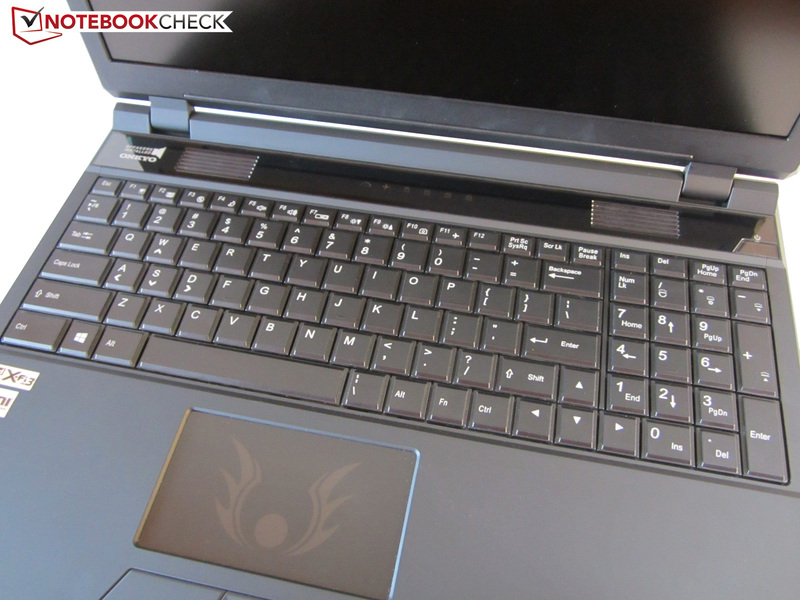 The brand-new Clevo barebones P150SM, P170SM Test One K73-3N (Clevo P170SM) Notebook and P177SM also manage to exceed 20,000 points if the right solid-state drive is used. To keep it short: In games, the GeForce GTX 780M is 30% faster than the GeForce GTX 680M and almost 40% faster than the GeForce GTX 770M. Even the main competitor, the AMD Radeon HD 7970M, is 20% slower. Thanks to its first-class performance, most games run smoothly even with the most extreme settings. Only the most demanding games such as Far Cry 3 or Crysis 3 require us to scale down a bit concerning antialiasing and details. Right now, the GeForce GTX 780M is probably the best graphics card for gamers. Whether the same will hold true for the upcoming Radeon HD 8970M, only time will tell. From what we have heard so far, it seems as if Nvidia is going to take the crown. 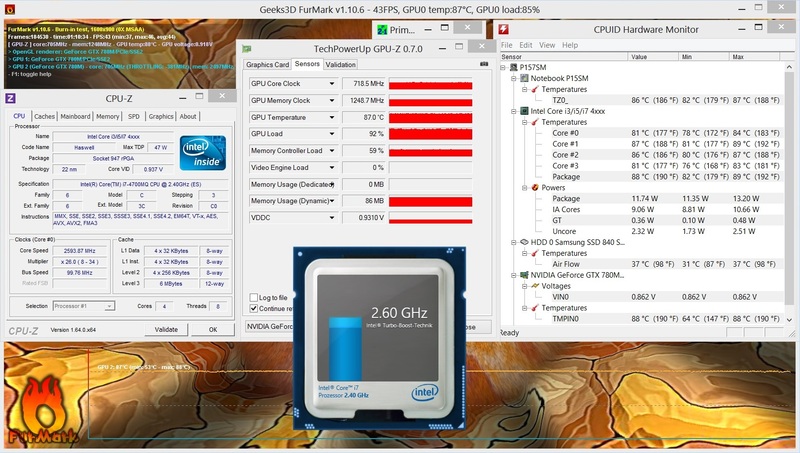 As can be seen in the figure below the verdict, a more expensive CPU model usually is not worth the premium. 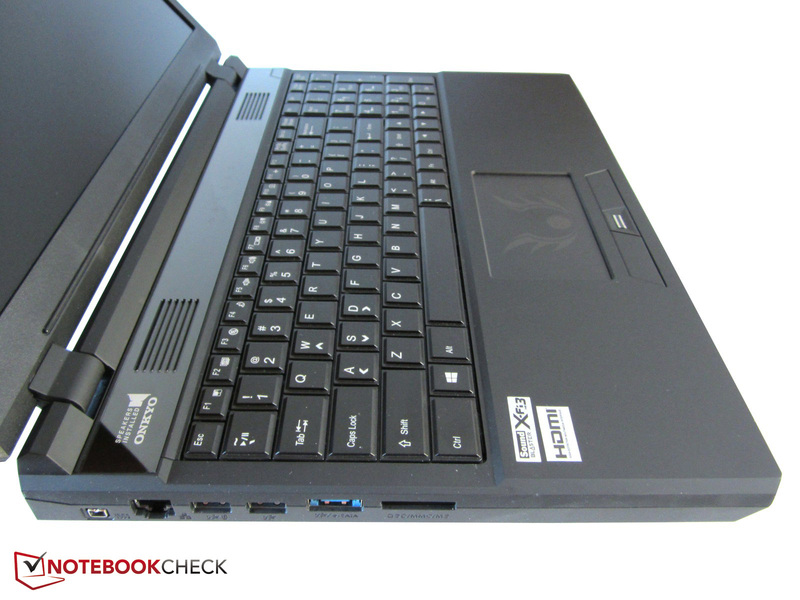 The Schenker XMG P703 with a Core i7-4900MQ is not necessarily faster than the K56. As expected, such powerful components inside the P157SM lead to a lot of excess heat and thus high noise levels - as is the case with most barebones made by Clevo. Sometimes, the fans turn off all the way while the system is idle, but there are also times when the laptop gets rather loud (~ 37 dB(A) from a distance of 6 inches) despite having nothing to do. That is not only annoying, but also completely incomprehensible - especially the fact that Clevo has not thought about introducing more levels of fan speeds. It feels as if they are either off or set to maximum speed. We do sincerely hope that Clevo will optimize the fan control system before the customer version is released. Less can be done about the noise emissions when actually in use. 44 dB(A) during the 3DMark 06 benchmark are on par with other configurations such as the P150SM (~ 42 dB(A)) or the P177SM (~ 46 dB(A)). Under full load, e.g. during demanding games, the One K56-3N2 gets up to 50 dB(A) loud, something which can only be tolerated when the speakers are turned as far as they will go or when headphones are used. 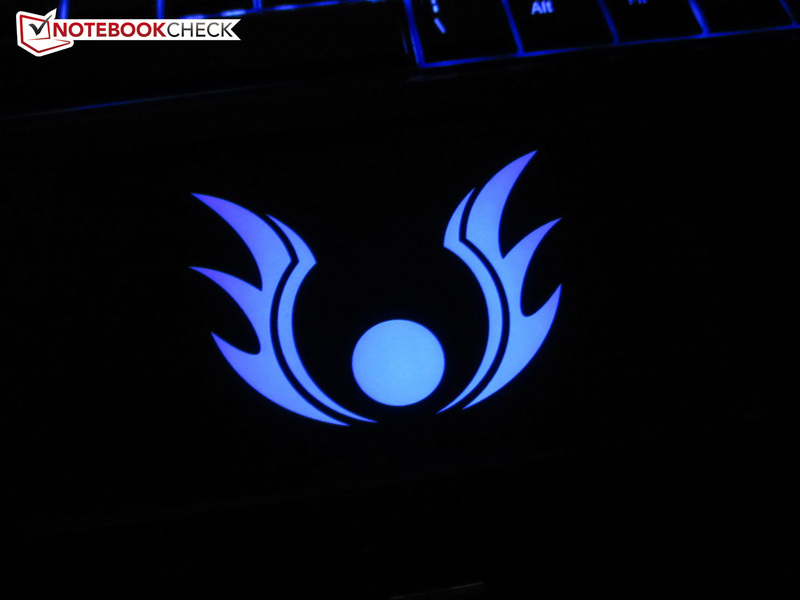 While the noise emissions are too high, temperatures were actually fine when compared to other gaming laptops. After having been idle for two hours, the K56 was only 27 degrees Celsius (80.6 Fahrenheit) warm. We measured 34 degrees (93.2 Fahrenheit) at the top and 33 degrees (91.4 Fahrenheit) below the base unit while the laptop had to cope with 3D games. Despite a significant temperature rise at the rear part of the device, this was still a very decent result. Even better: The front third never exceeded 30 degrees Celsius (86 Fahrenheit), leaving us with a comfortably cool palm rest. Both CPU and GPU temperatures reach up to 90 degrees (194 Fahrenheit), but this should not pose any problems. The critical range starts between 95 and 100 degrees (203 and 212 degrees Fahrenheit). Also, the laptop usually remains noticeably cooler during games. 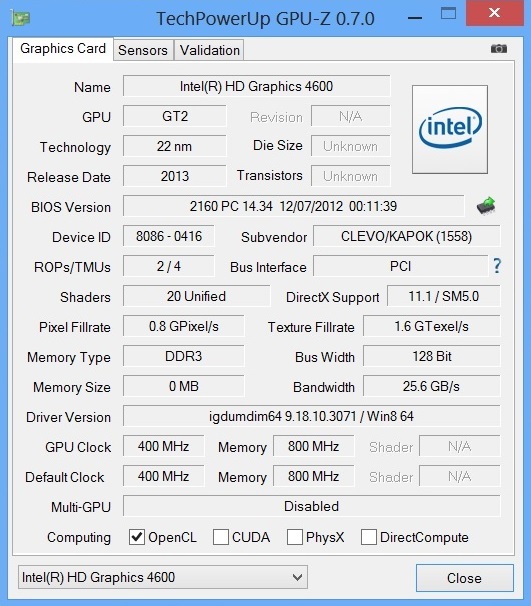 Unfortunately, the core clock speed of the GeForce GTX 780M seems to be running with only 700 MHz during extreme conditions. (+) The maximum temperature on the upper side is 39.4 °C / 103 F, compared to the average of 39.3 °C / 103 F, ranging from 21.6 to 68.8 °C for the class Gaming. The sound system looks mighty fine on paper. 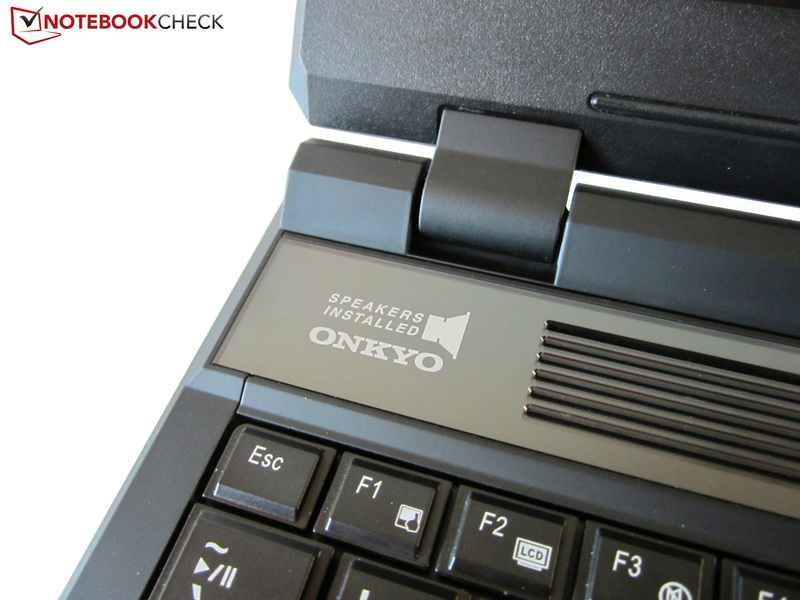 Two high-quality speakers made by Onkyo, a subwoofer beneath the base unit and Creative's Sound Blaster X-Fi MB3 technology: The 15-inch comes with a number of thrilling features. Unfortunately, we were not as impressed during our actual tests as we had hoped to be. 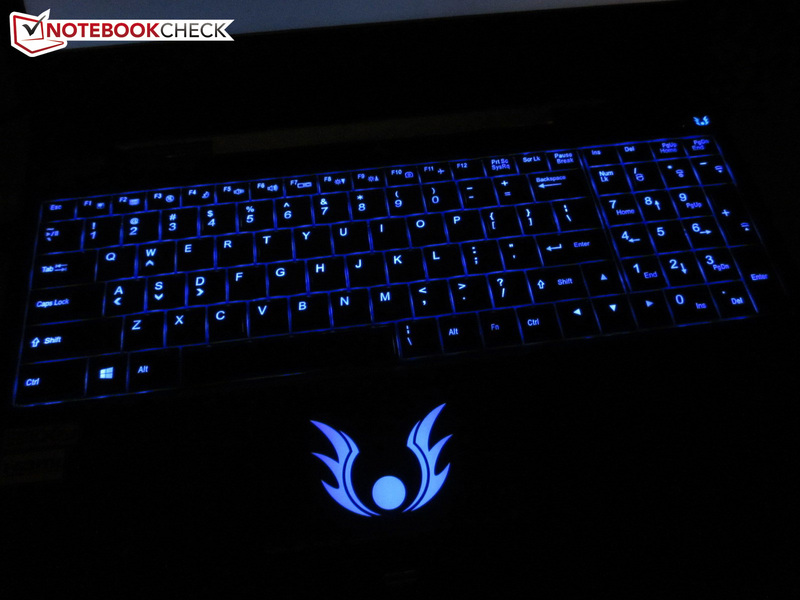 Despite sounding better than most other gaming laptops, the One K56-3N2 struggles to earn rave reviews. 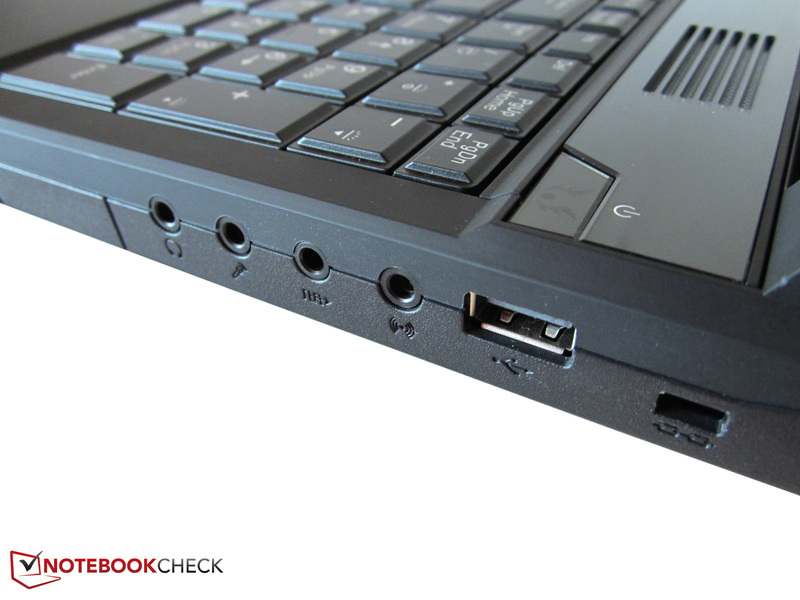 As it is the case with many other laptops, audio content often sounds tinny, imbalanced or mushy. 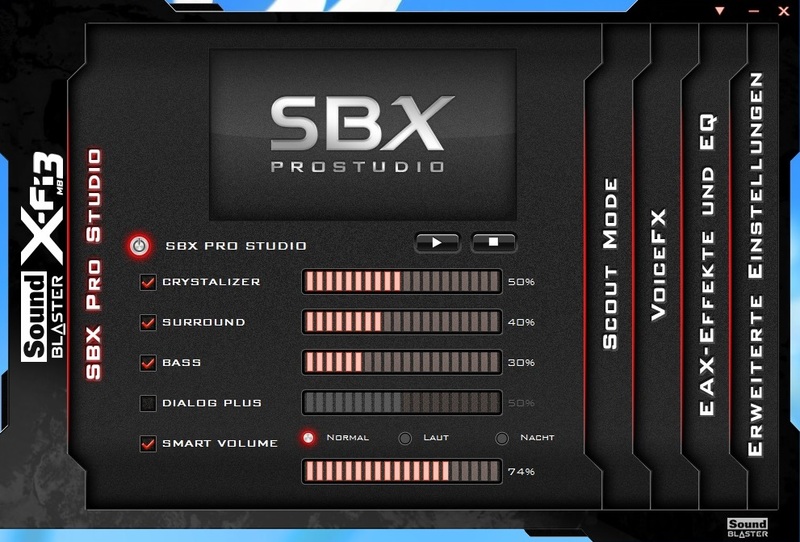 Still, the SBX Pro Studio technology (which can be found in the Sound Blaster software settings) is capable of tickling much out of the 2.1 system. 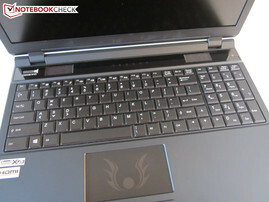 The high maximum volume and the noticeable bass also help to set the 15-inch laptop apart from some of its competitors. It does not come close to the sound quality of an Asus N56VB or MSI GT60 , however. 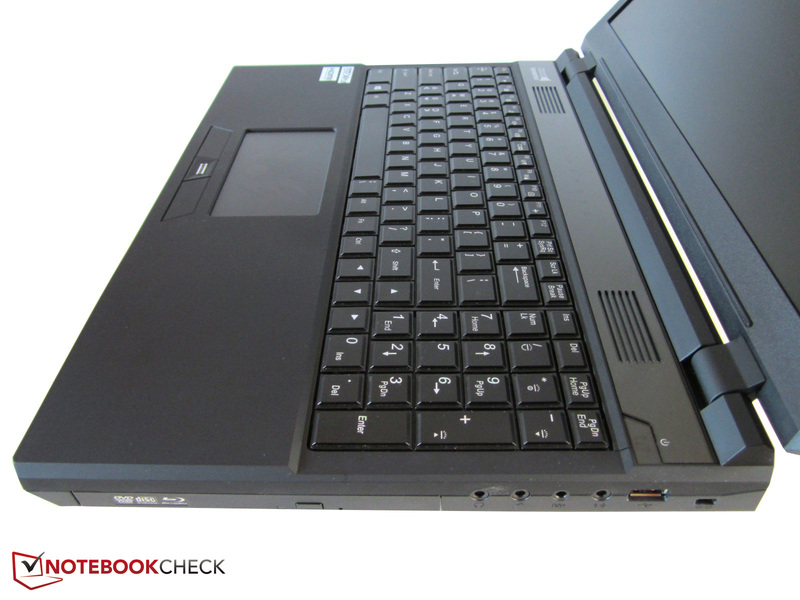 Thanks to the faint display and the more frugal CPU, the One K56-3N2 requires less power than the Schenker XMG P703. The 18 to 27 Watts that we measured while idle are very decent. 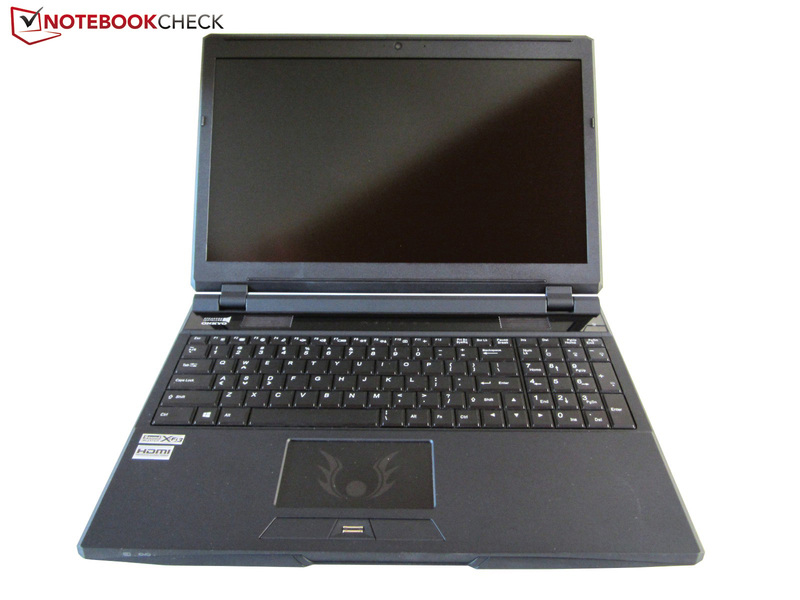 They are due to the Optimus graphics switching system, without which we'd expect the 15-inch laptop to need more than 30 Watts. 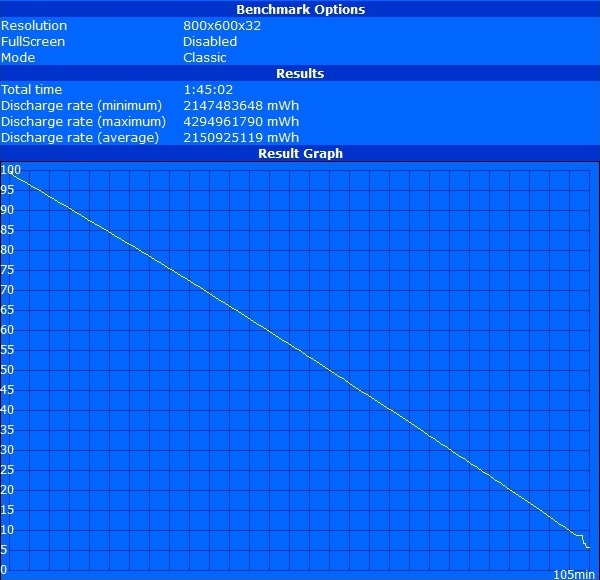 During our 3DMark 06 benchmark, we measured 109 Watts. This is very much, but still feels almost negligible when compared to the 202 Watts it draws under full load. We actually wonder whether the colossal 180 Watt power adapter is sufficiently strong to handle such situations. Battery runtimes come to lie between 1.5 and 5 hours, depending on display brightness, GPU activity and overall stress levels. Almost 3 hours of DVD playback are as decent as 3.5 hours of browsing via Wi-Fi. 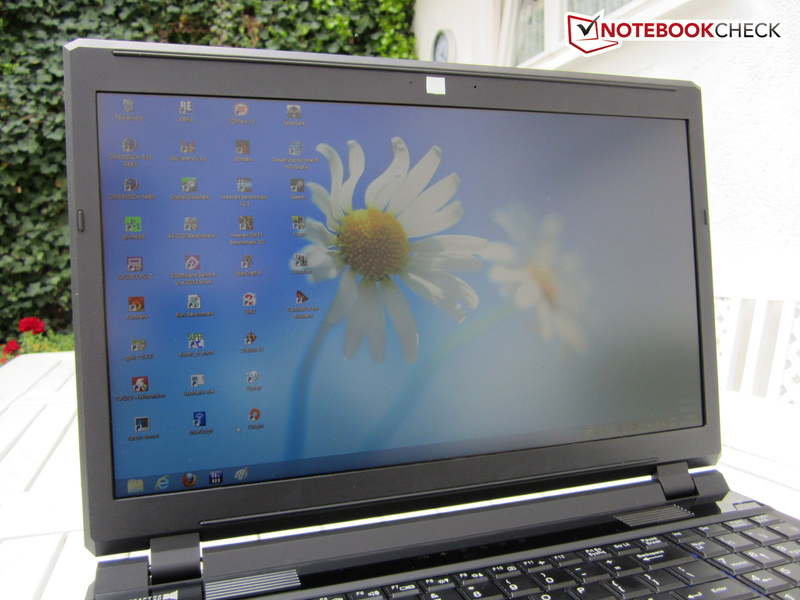 When compared to other high-end laptops, such as the Samsung Series 7 770G7C or the Toshiba Qosmio X870-119 (which ship without Optimus technology), the One K56-3N2 puts up a good show. More power in a 15-inch machine is hardly feasible. 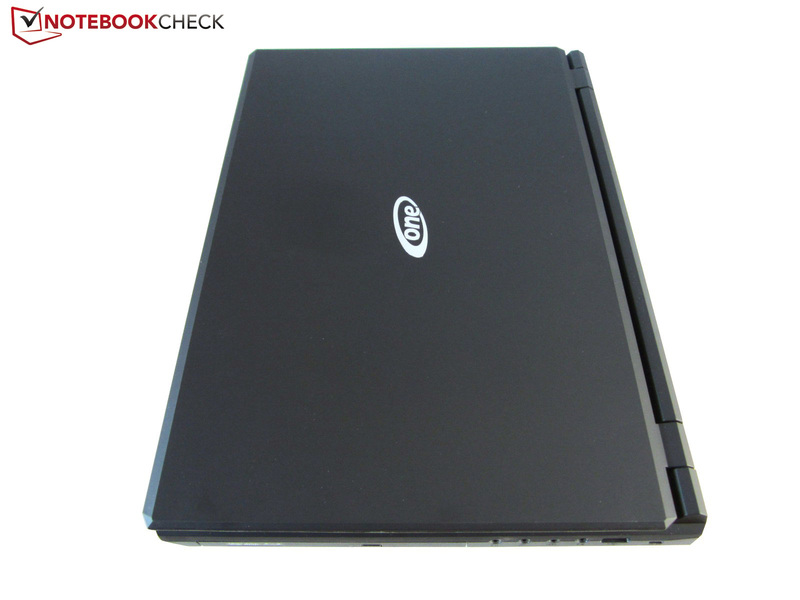 Yes, the One K56-3N2 is no lightweight laptop, coming in at 3.3 kilograms (~7.3 pounds), and it is not one of the slimmer ones, either, measuring almost 50 millimeters (~2 inches) thick. Nevertheless, considering the performance of the GeForce GTX 780M, these shortcomings are quickly forgotten. Thanks to Nvidia’s new top model, the One K56-3N2 trumps most of its competitors, rendering almost all recent games smoothly even with maximum details and activated antialiasing. The previous high-end GPUs (the Radeon HD 7970M and the GeForce GTX 680M) required more compromises. We also liked the fine Full HD display, the thoughtful selection and positioning of the One K56-3N2's ports and its low temperature levels. One of the major highlights is the maintenance-friendly design. 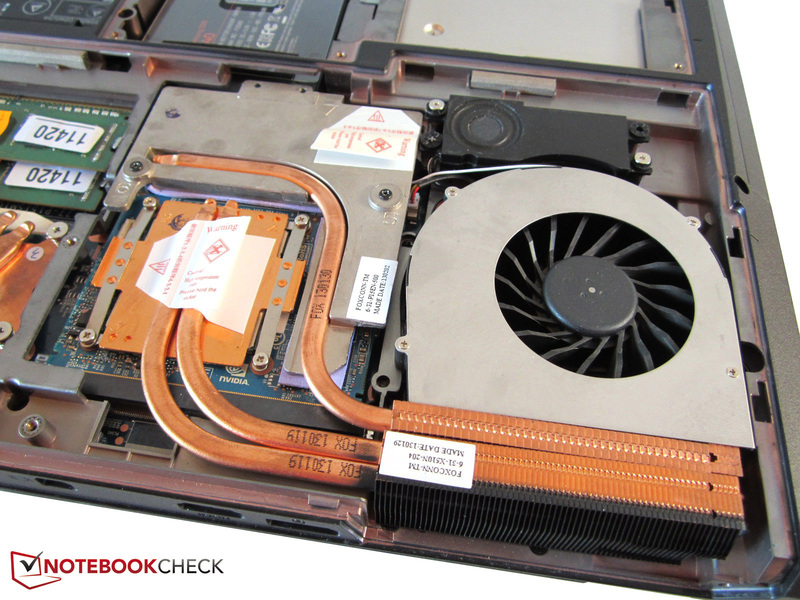 Cleaning the fans is as easy as it is to upgrade its hard drive, its memory and other internal components. The input devices, on the other hand, failed to impress us. 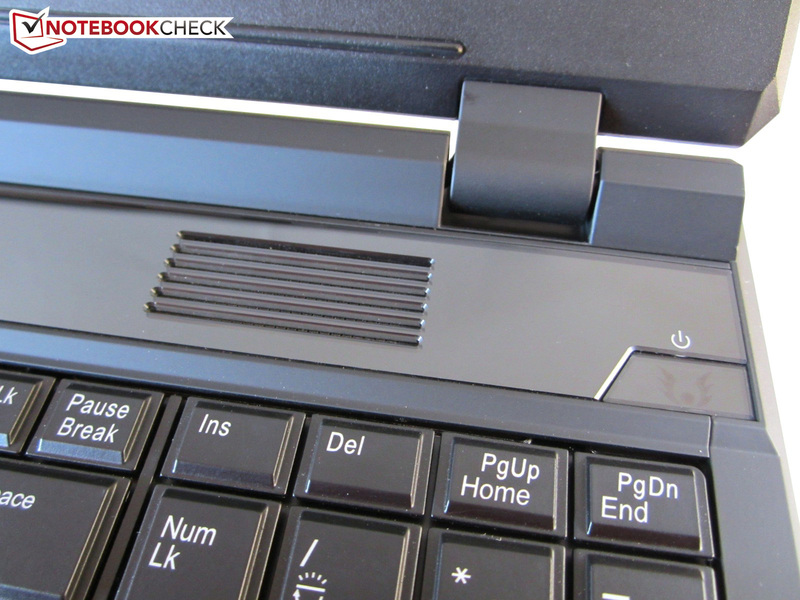 While the keyboard was decent - despite its unusual layout - the touchpad felt half-baked. We were also not happy with the fan control system, which was still quite buggy. The most annoying issue next to the fans' always-present noise was their erratic behavior. Apart from the laptop's loudness, no other glaring problems occurred. Overall, the One K56-3N2 remains a terrific desktop replacement laptop with brand-new high-end components. 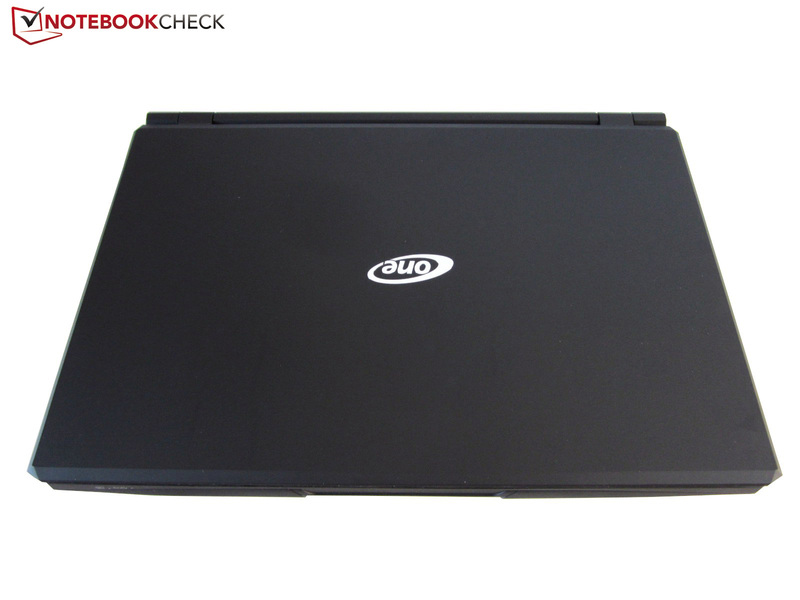 The laptop is based on the Clevo P157SM barebone. Not much has changed concerning its looks when compared to its predecessor. 3.3 kilograms can still be mobile to a certain degree. 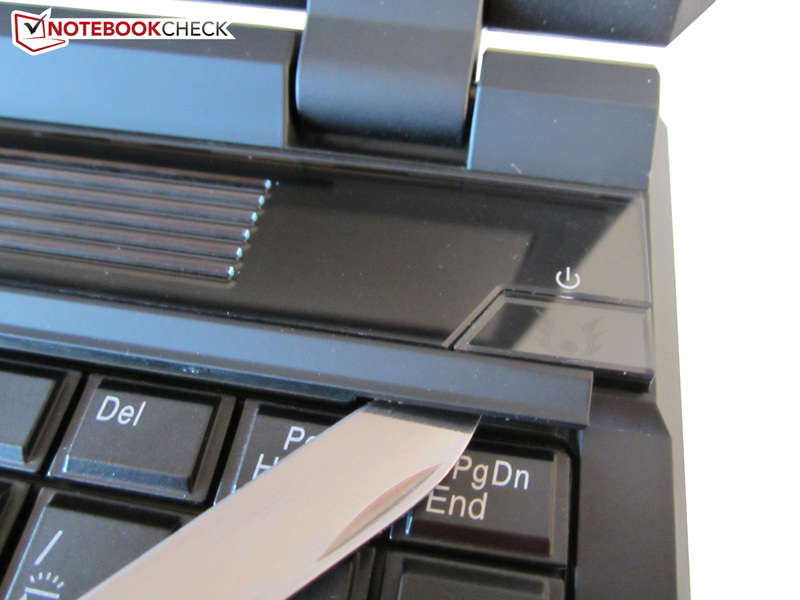 The matte surfaces help in keeping the laptop free from visible dirt. One of the feet of the case is built into the battery compartment. This is the maximum opening angle. 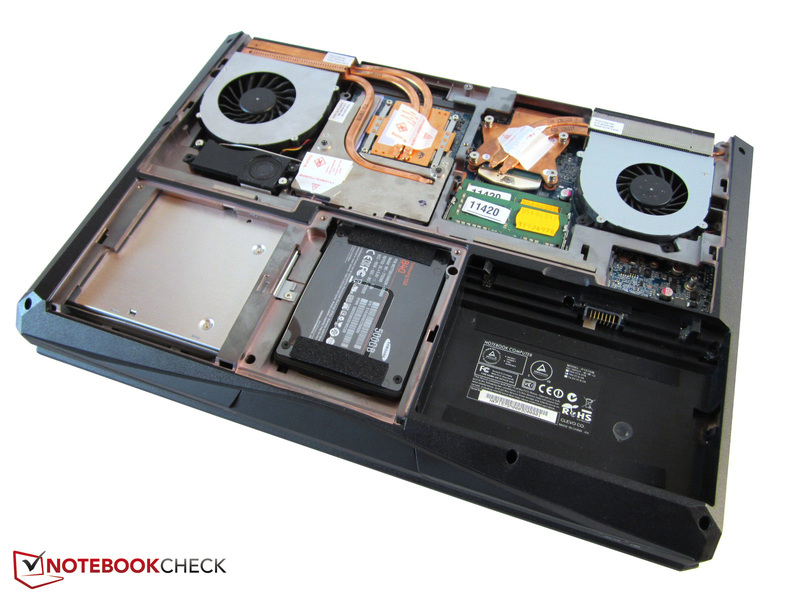 Heat dissipation is handled by the fans on the rear. 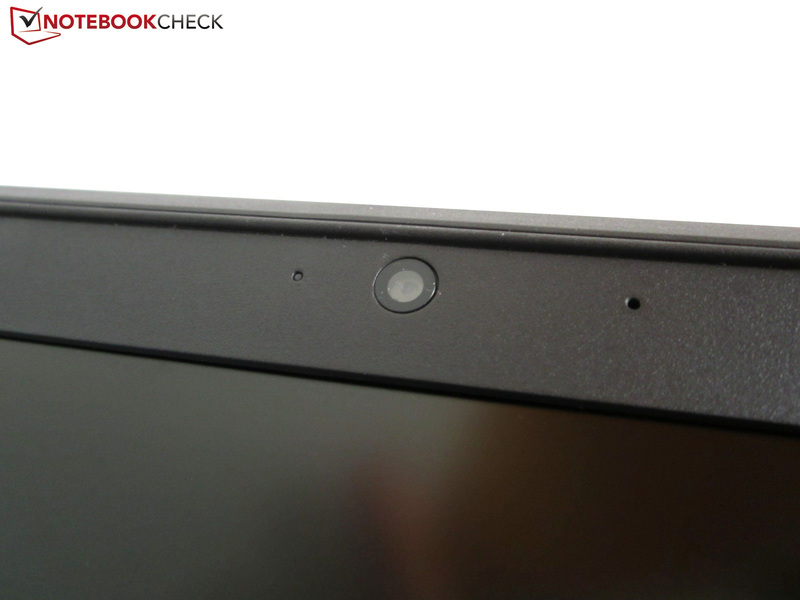 There is a fingerprint reader between the touchpad buttons. 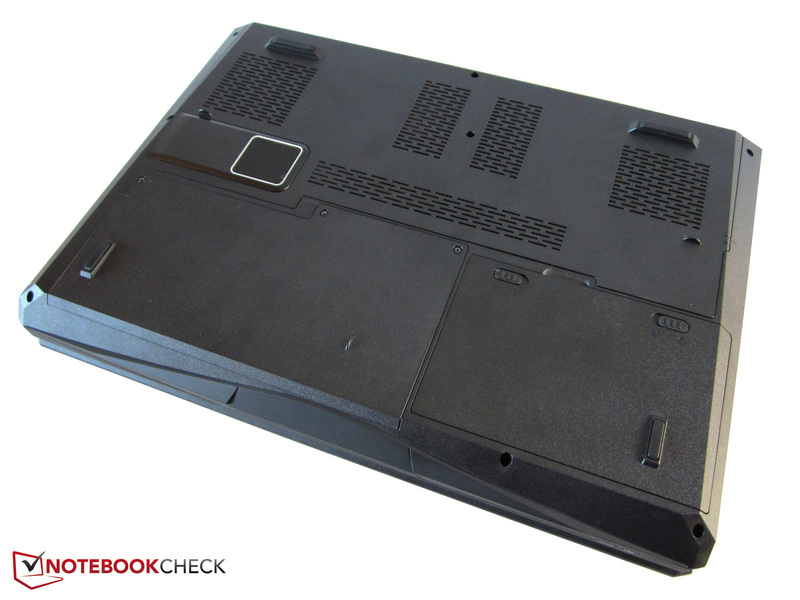 The rear of the laptop measures 5 centimeters high. A non-glare panel helps reduce reflections. Only few competitors are this maintenance-friendly. The silverish One logo is glued onto the lid. Tons and tons of ports. The base unit is rather well-built, feeling sturdy. The maintenance hatches can be unscrewed. 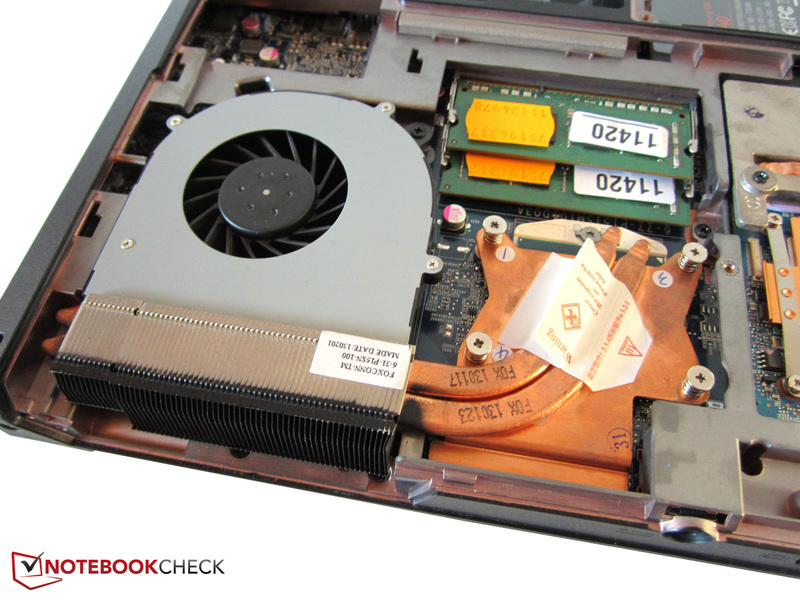 The gaming laptop relies on two fans. 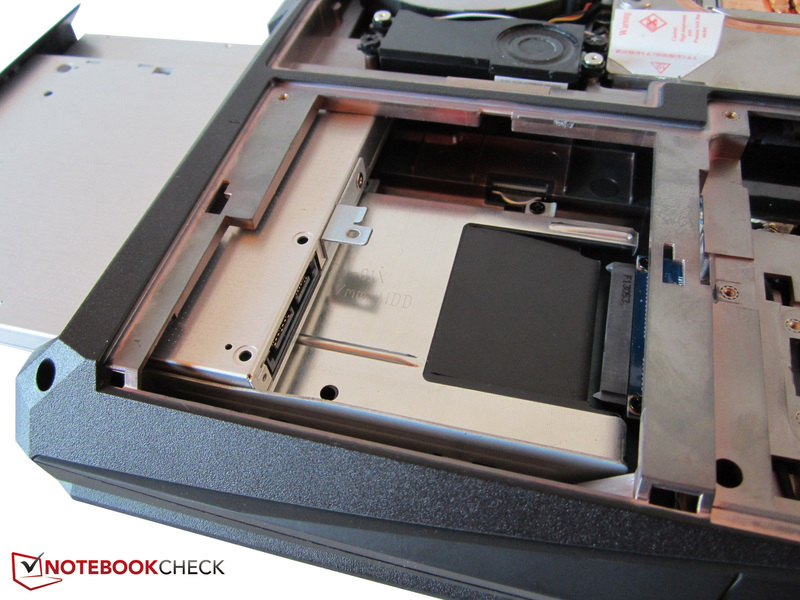 The optical drive is attached with just one screw. 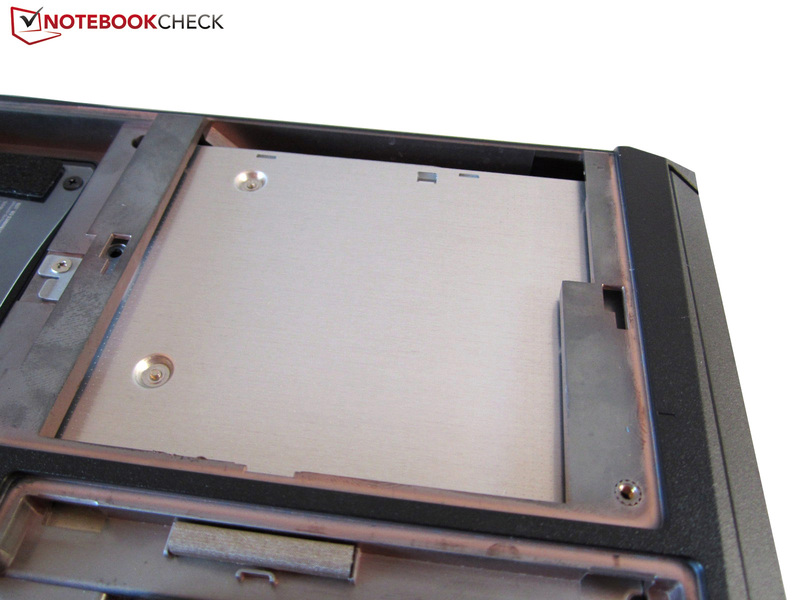 The second 2.5-inch hard drive may not be thicker than 7 millimeters. We suggest you use a solid state drive. 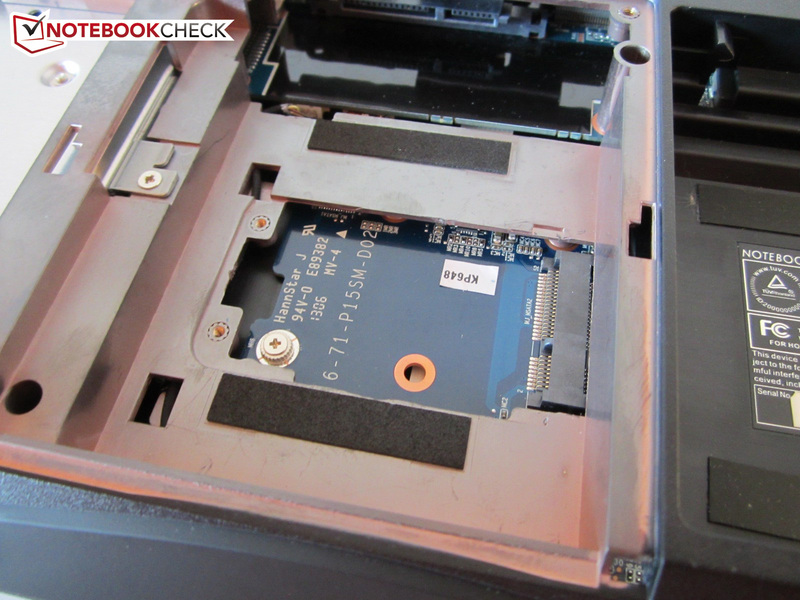 One of the two mSATA slots is hidden beneath the primary hard drive. 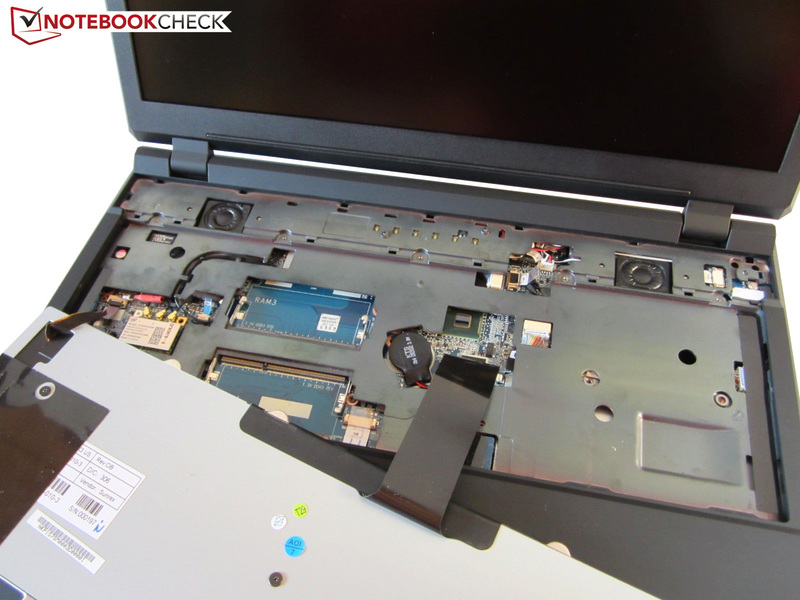 The laptop can operate with up to 32 GB of DDR3-RAM. Two of the four memory banks are located right beneath the keyboard. Here, the radio module is hidden as well. The GPU can be replaced as well. The display frame used to be glossy. 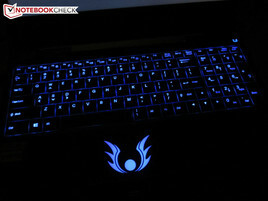 The keyboard backlighting can be deactivated should this be desired. 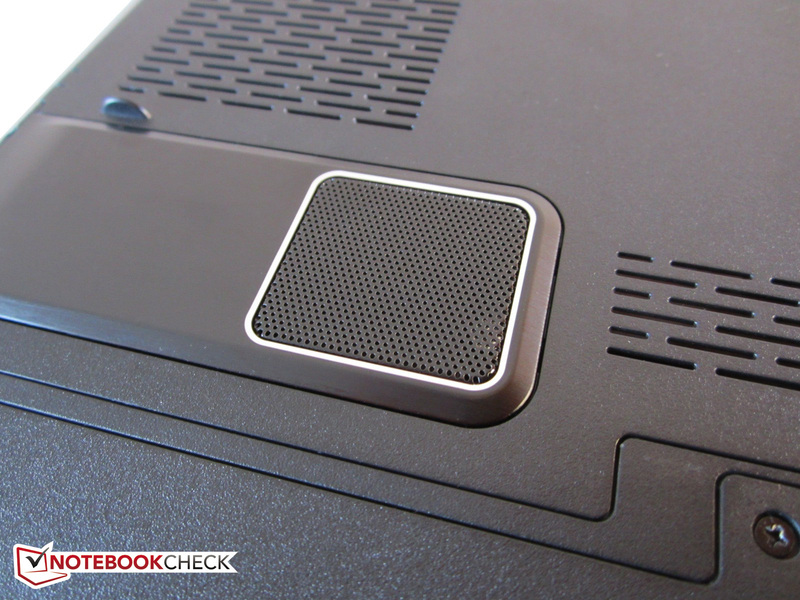 Next to the stereo speakers, the laptop also comes with a subwoofer. Some design elements look a bit cheap. Our test device shipped with a US keyboard layout. Not every 15-inch laptop comes with a four-column numpad. 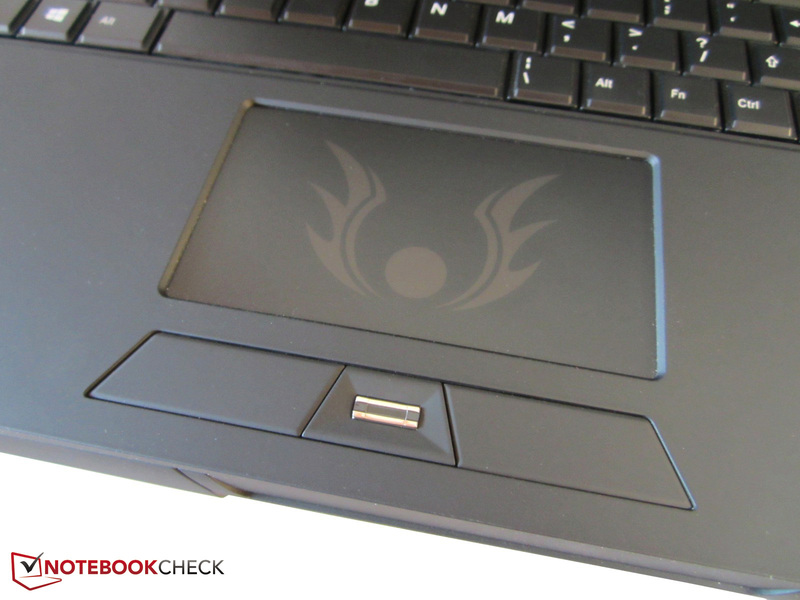 The logo on the touchpad doesn't necessarily have to be the same in the final customer version. 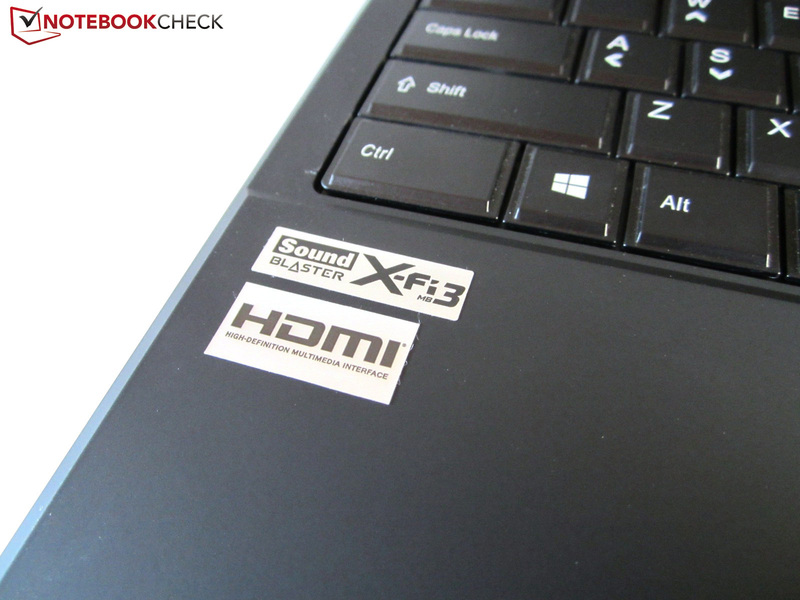 The X-Fi MB3 boosts the laptop's sound quality. One HDMI port between two DisplayPorts. The card reader now supports nine different formats. 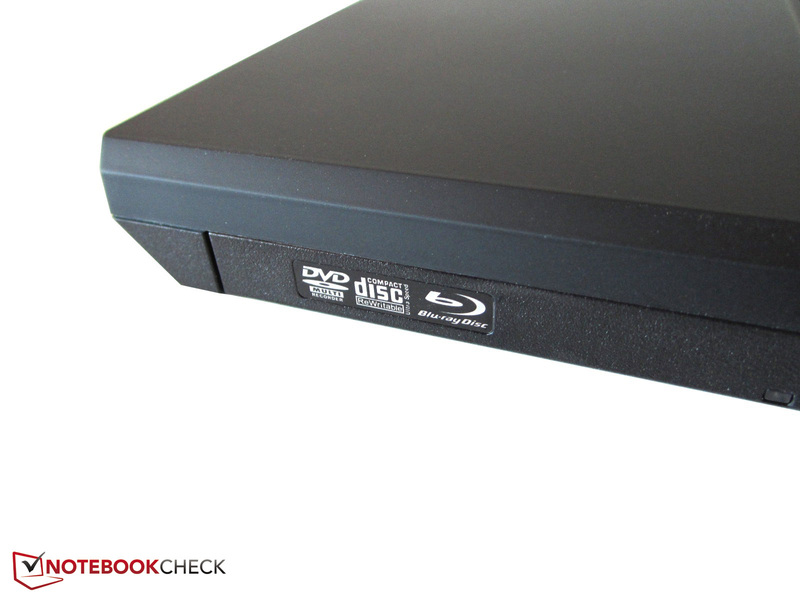 Both a DVD burner and a Blu-ray drive are offered. 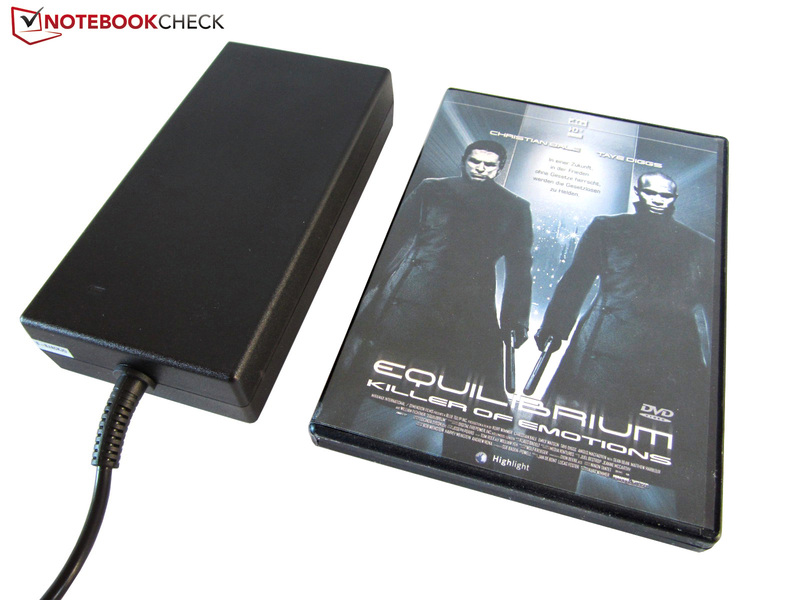 The power adapter weighs more than 800 grams. The performance is beyond reproach. Connectivity and image quality are top-notch as well. The simpler design of its predecessor. The fan control system felt quite crude. 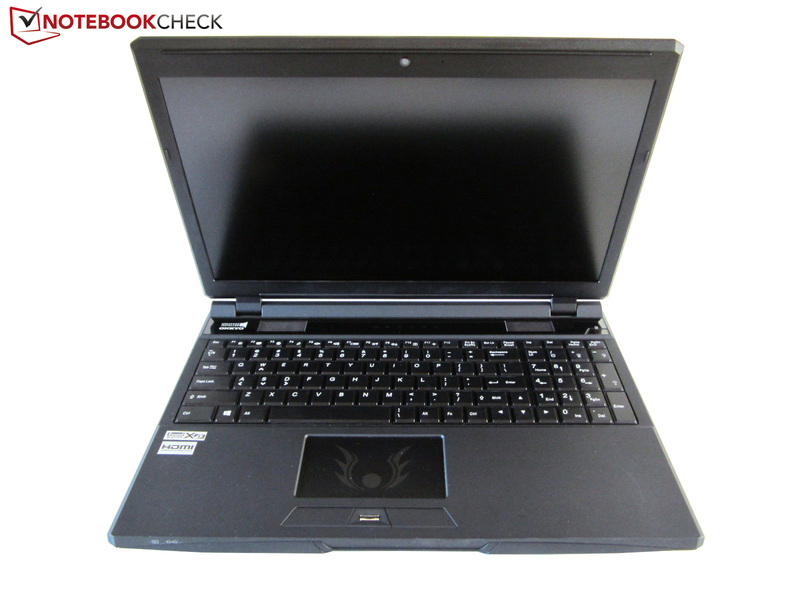 15-inch high-end laptops such as the Asus G55V, the DevilTech Devil 6700, the Lenovo Ideapad Y580, the Medion Erazer X6821, the MSI GT60 or the Schenker W503.